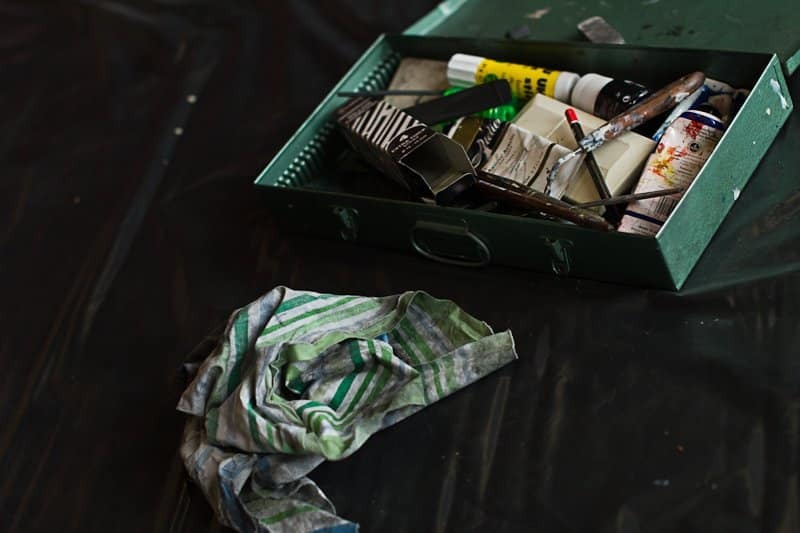 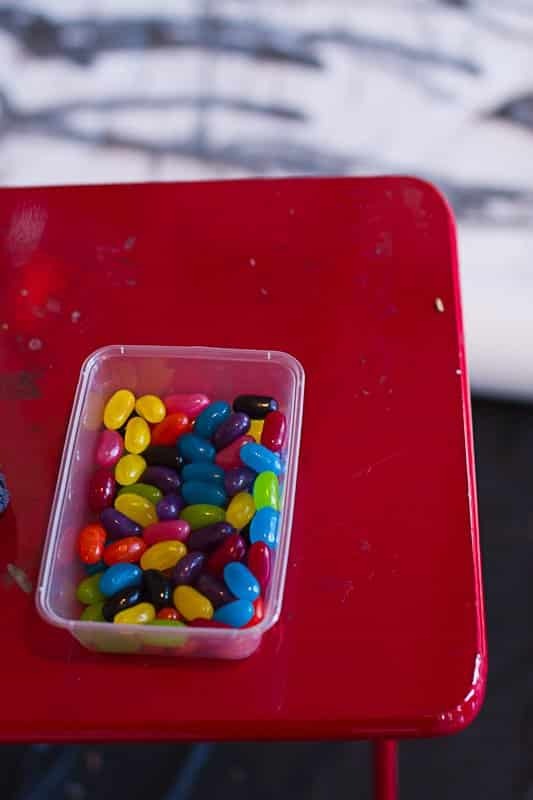 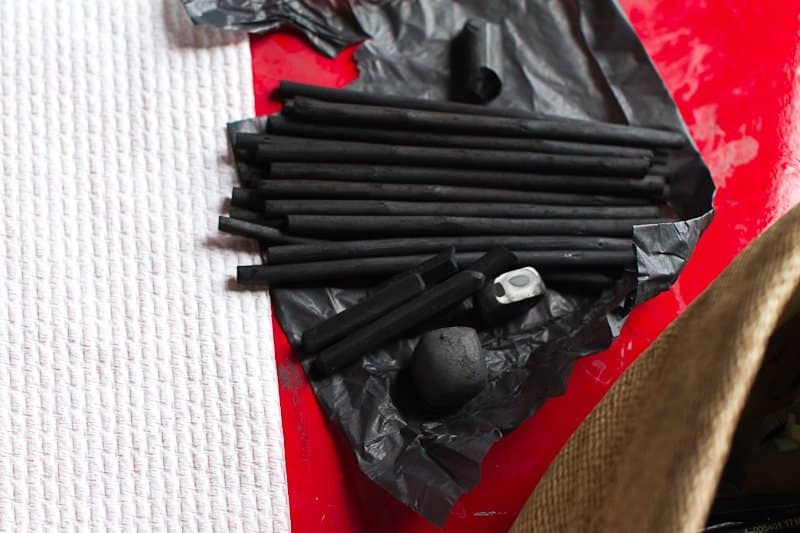 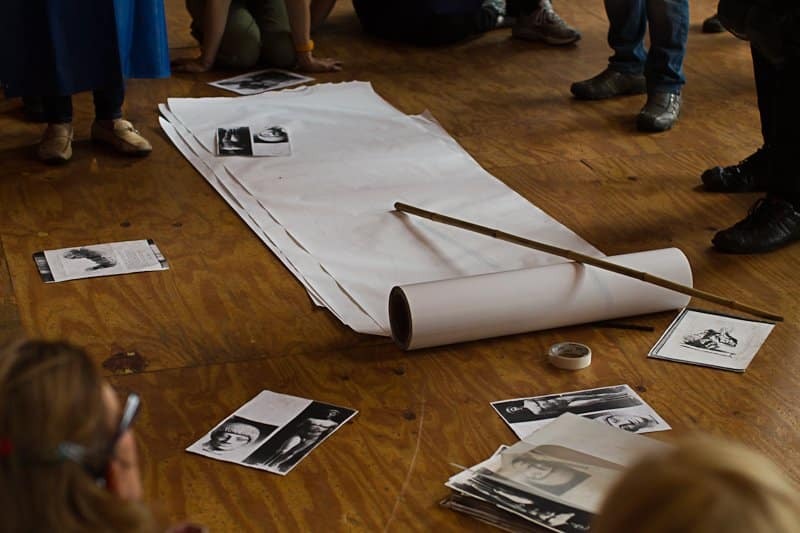 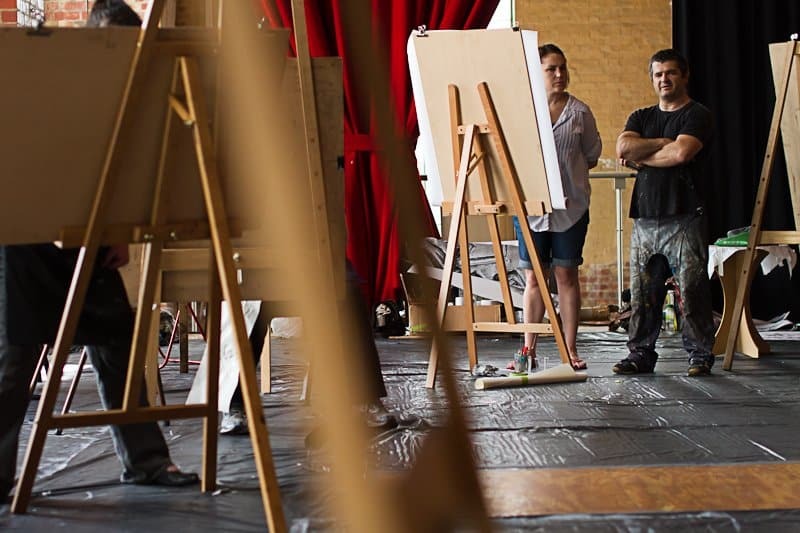 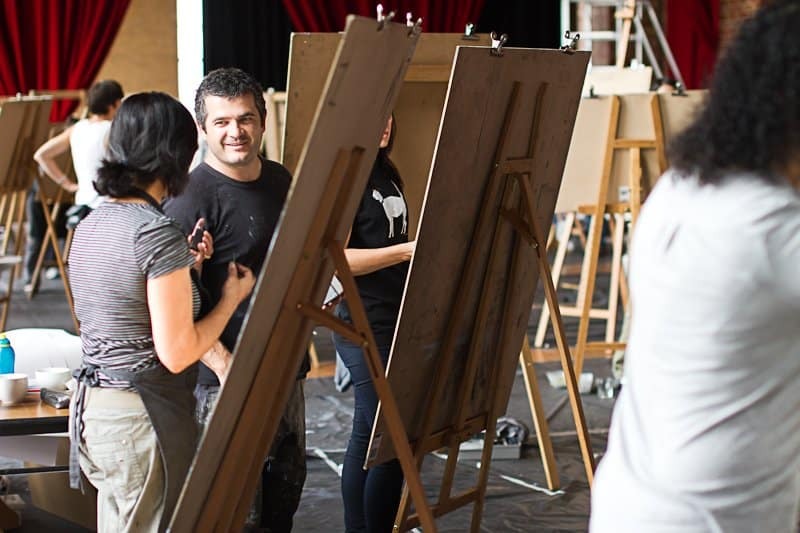 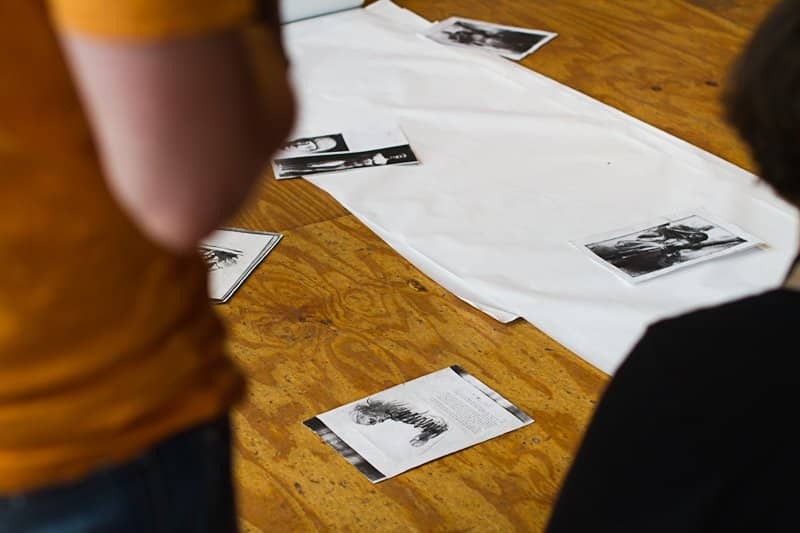 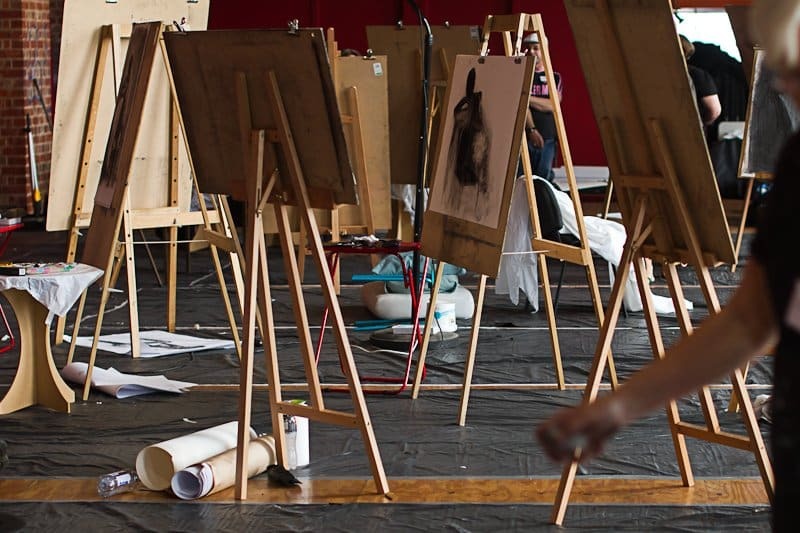 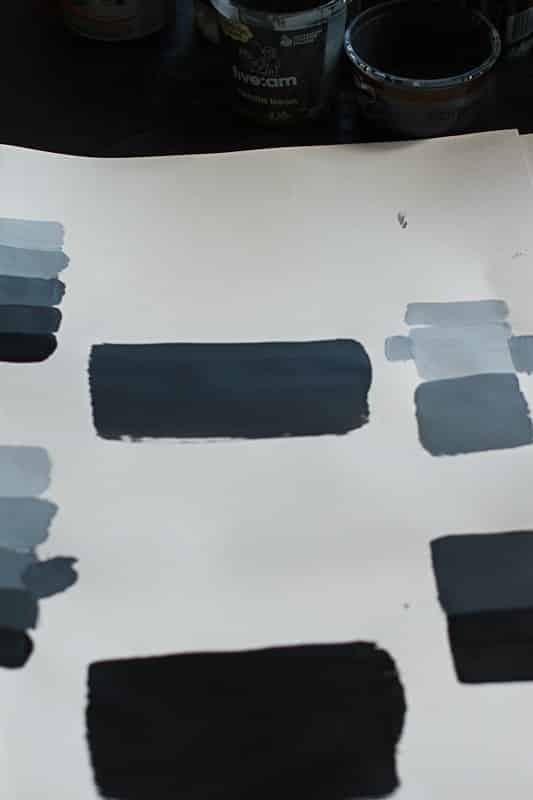 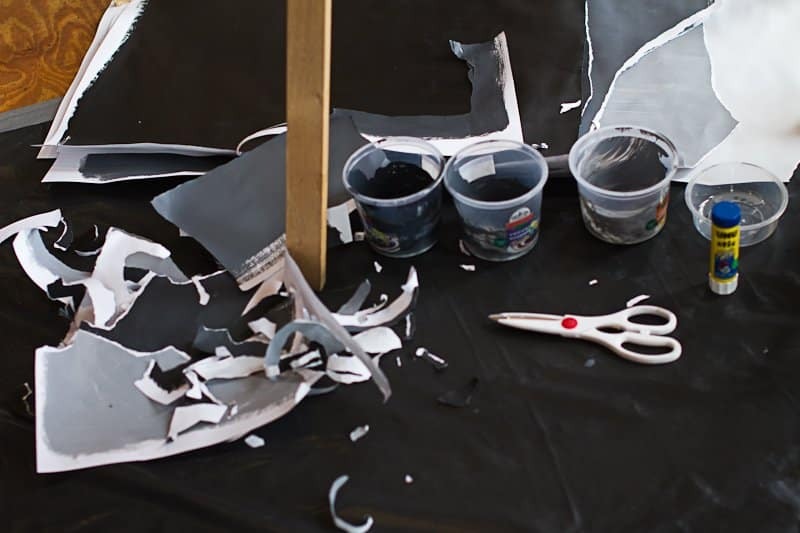 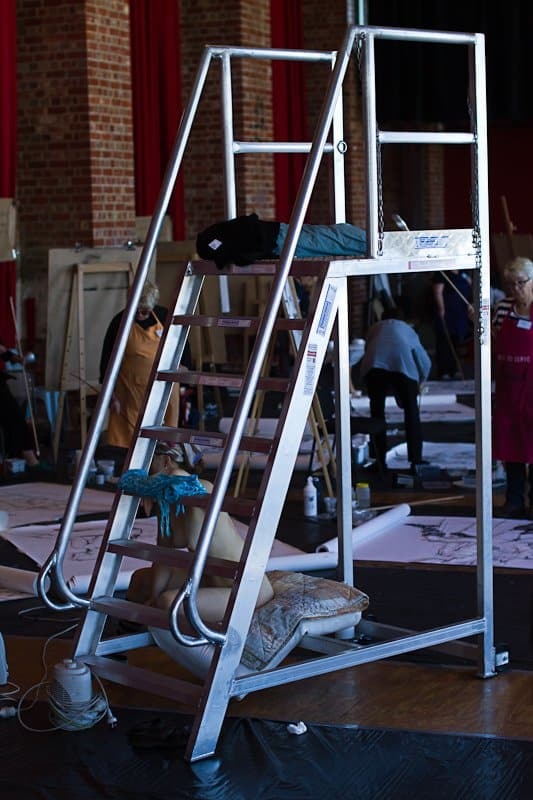 In December 2013 for five consecutive days, The Art Room and The Substation: Centre of Art and Culture were excited to present a unique artistic opportunity for artists and art students looking to challenge their practice. 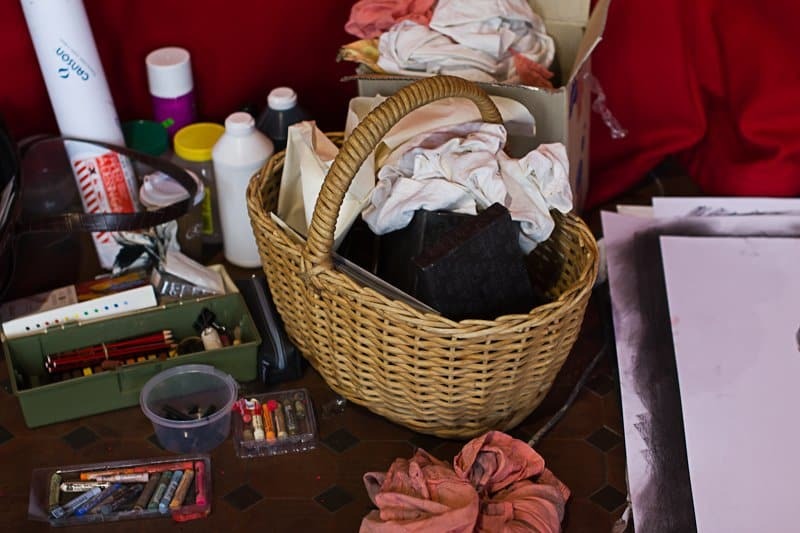 “To me art is an adventure into an unknown world, which can be explored only by those willing to take the risk. 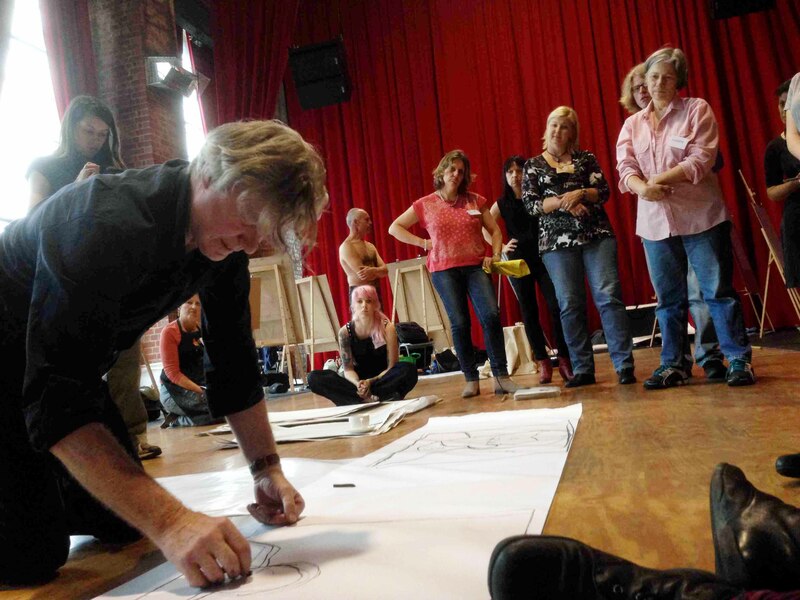 This intensive was intended to inspire, stimulate and challenge. 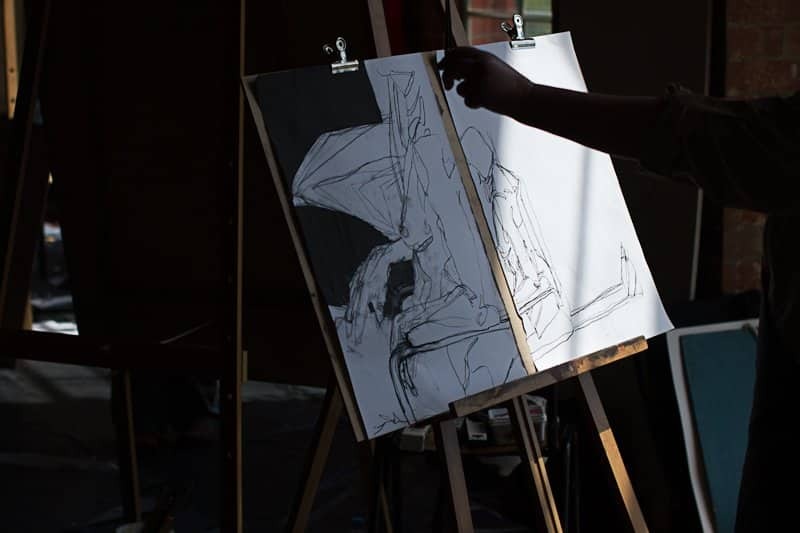 It was an opportunity for artists and art students to step into the unknown, to try new approaches and to take a risk in their practice. 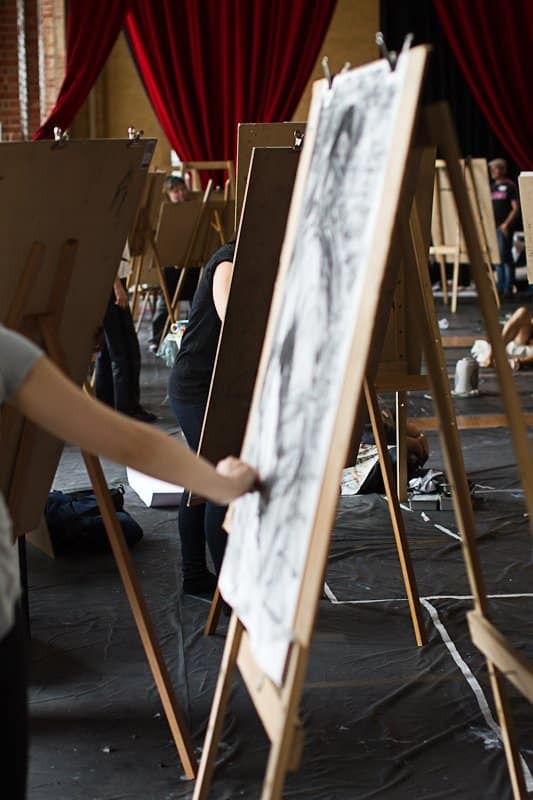 And being held over five consecutive days it allowed for concentrated focus and development. 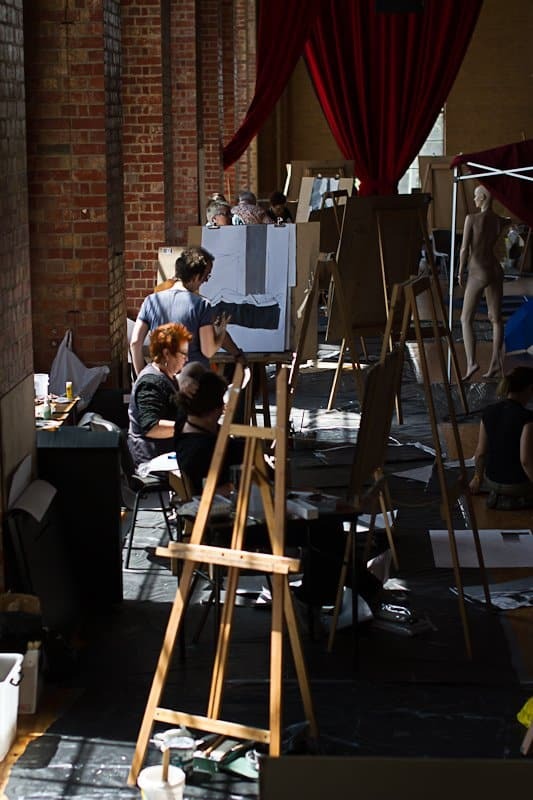 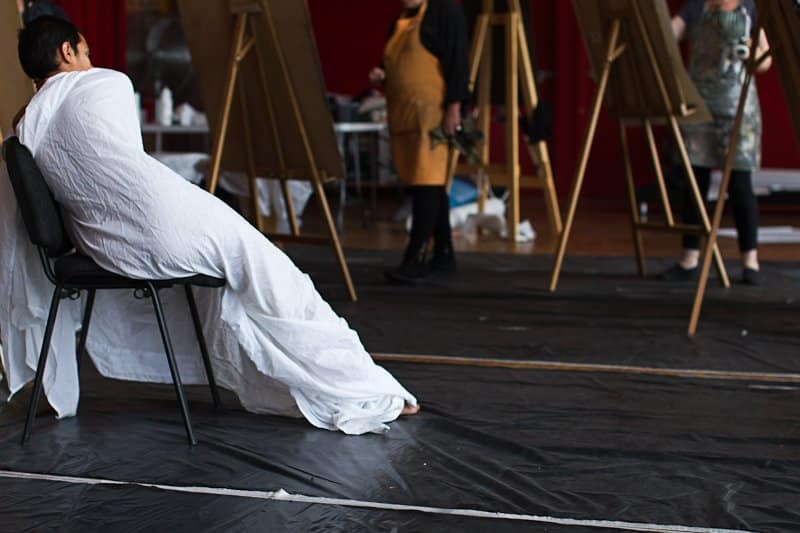 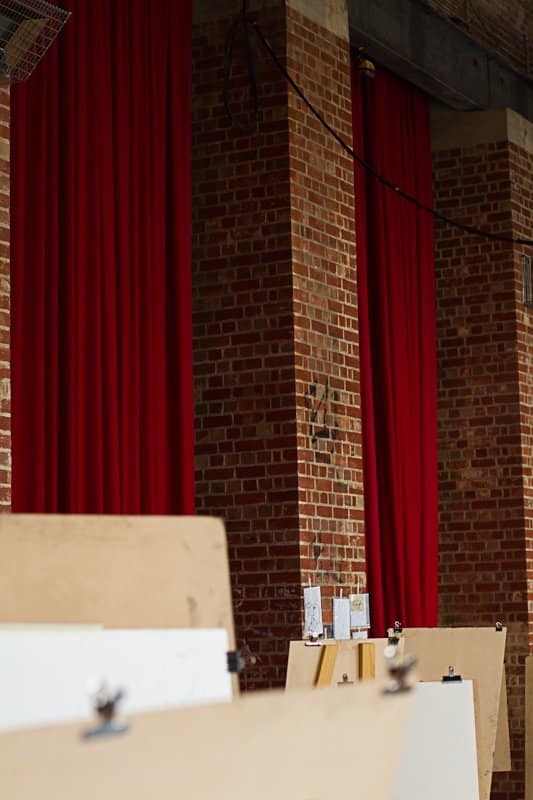 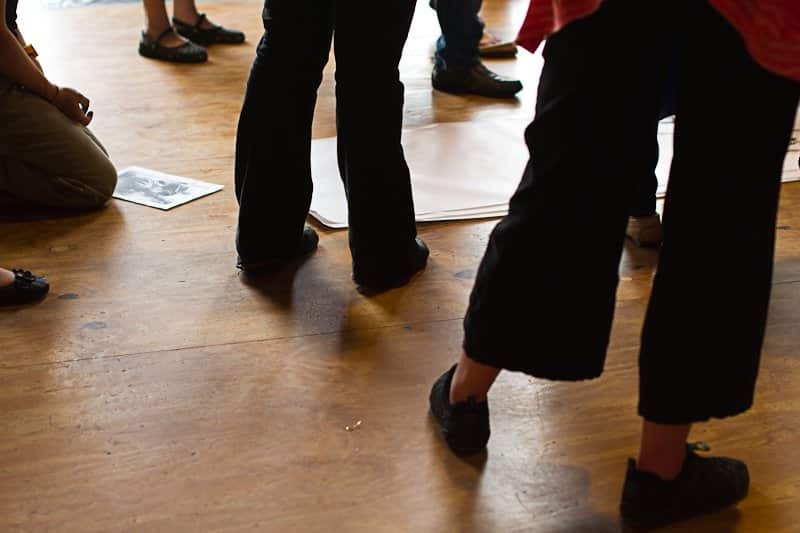 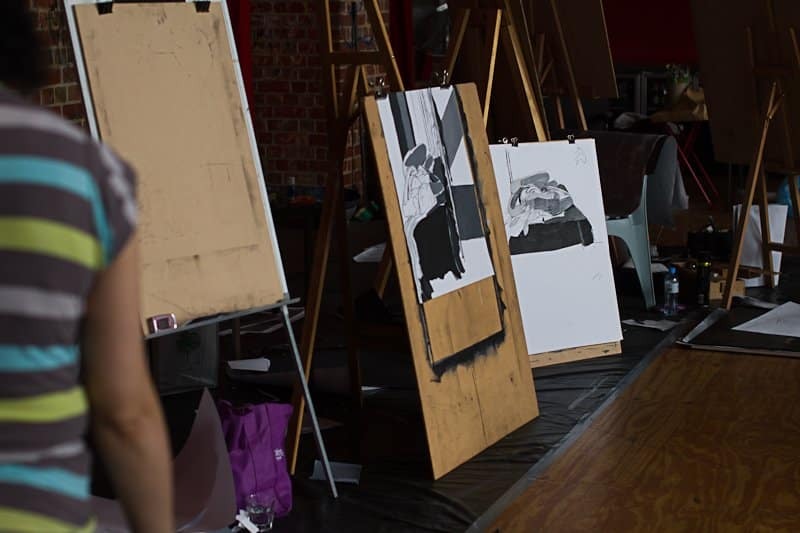 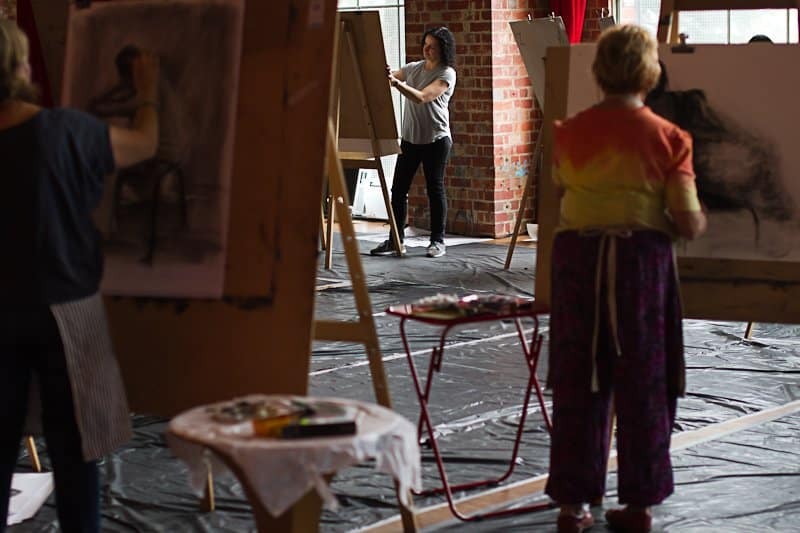 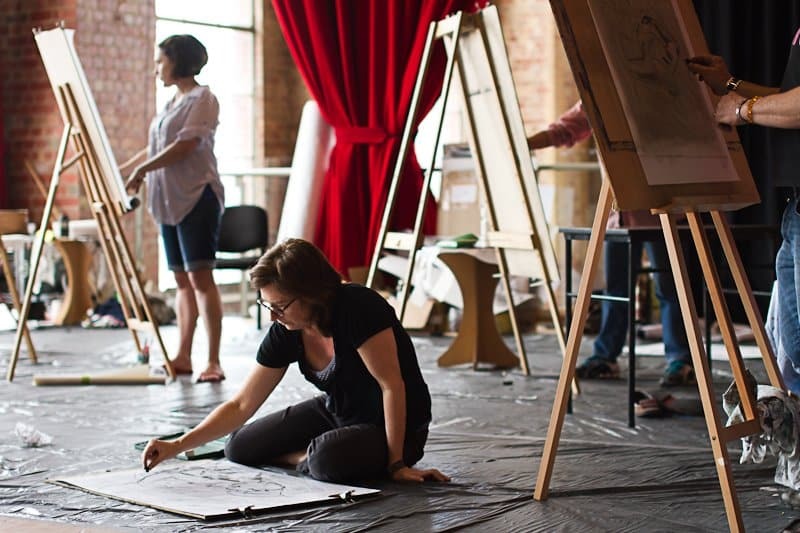 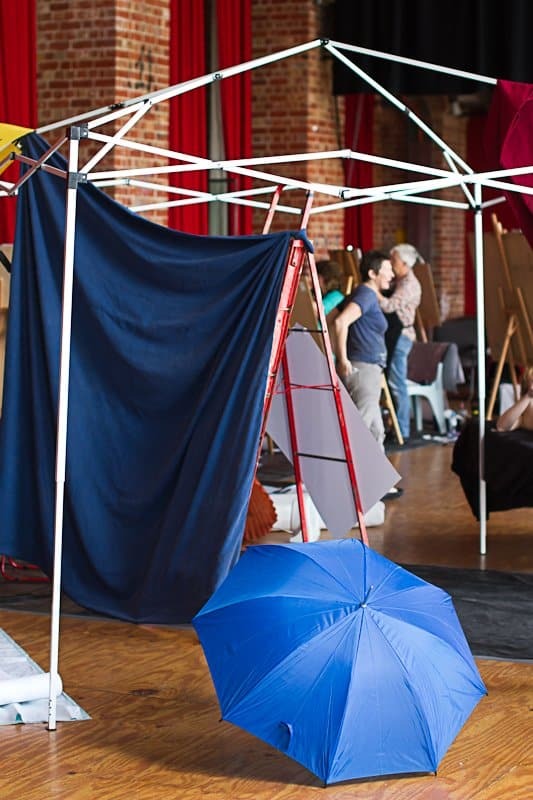 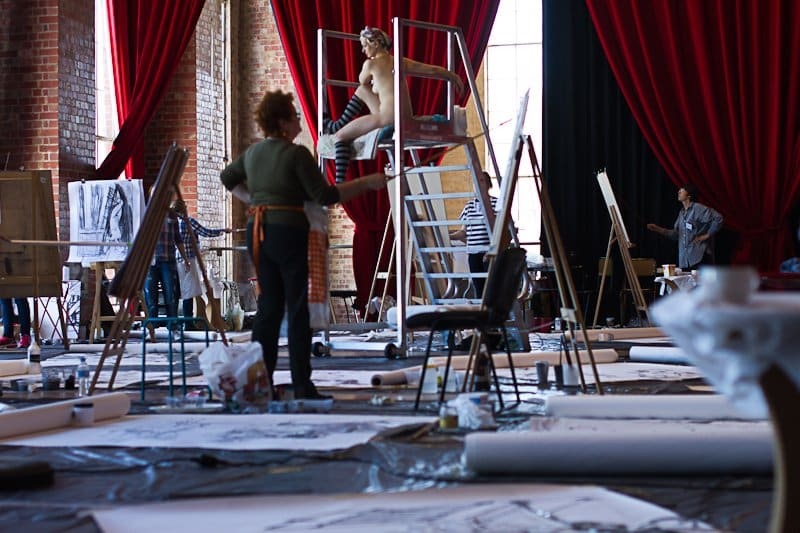 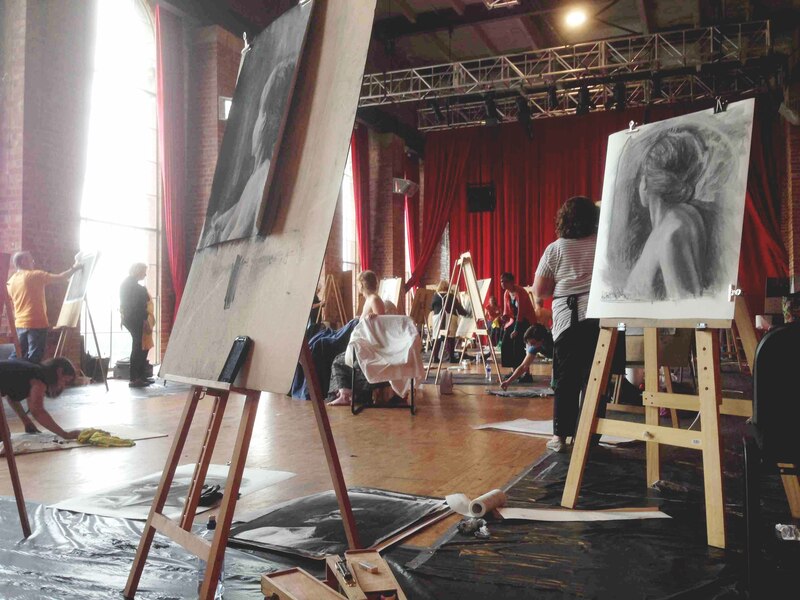 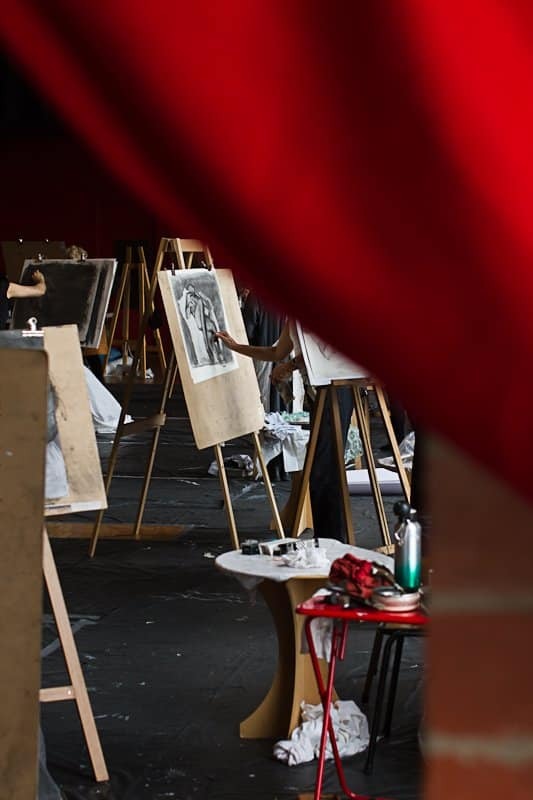 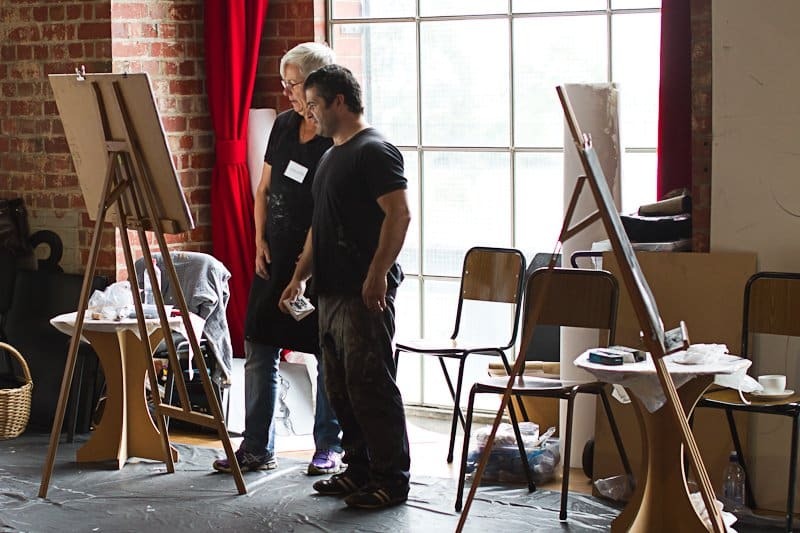 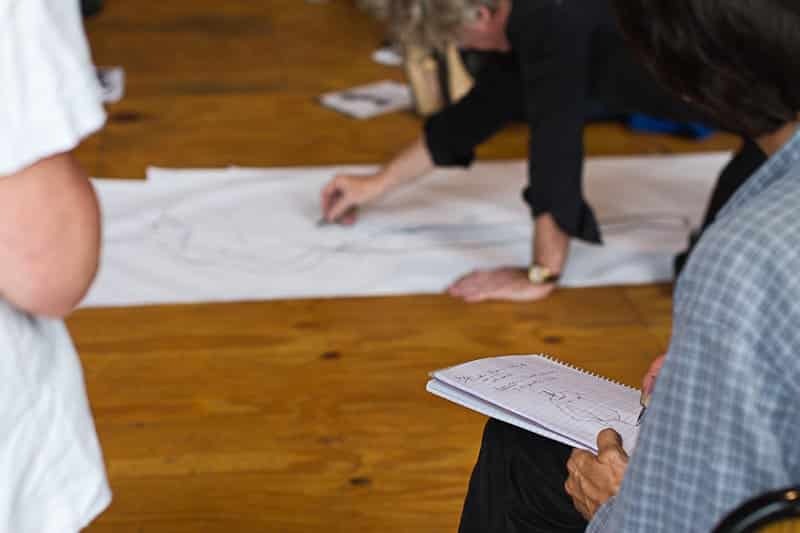 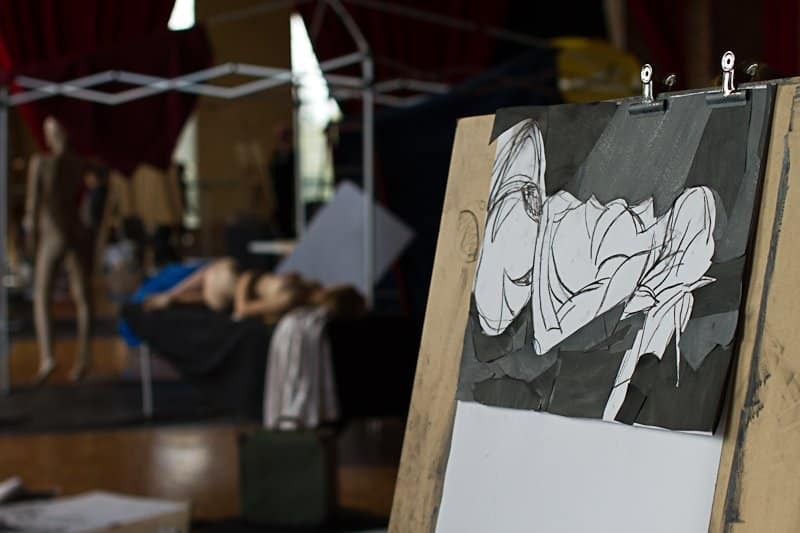 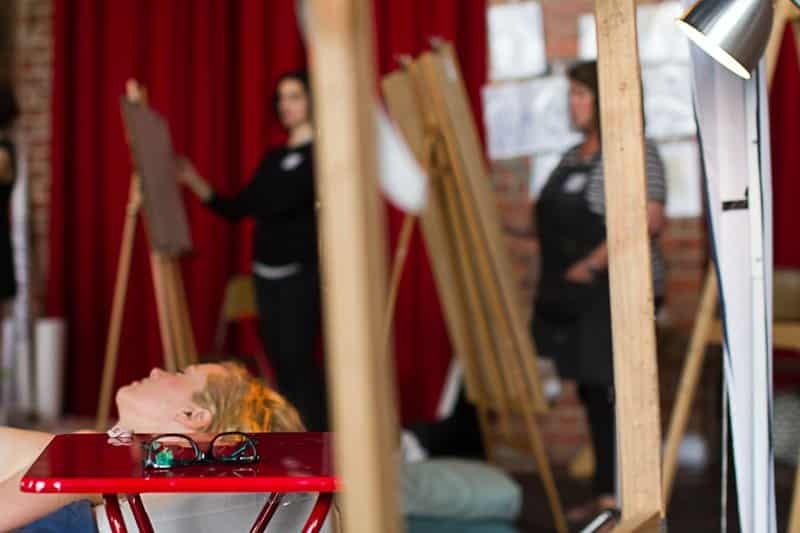 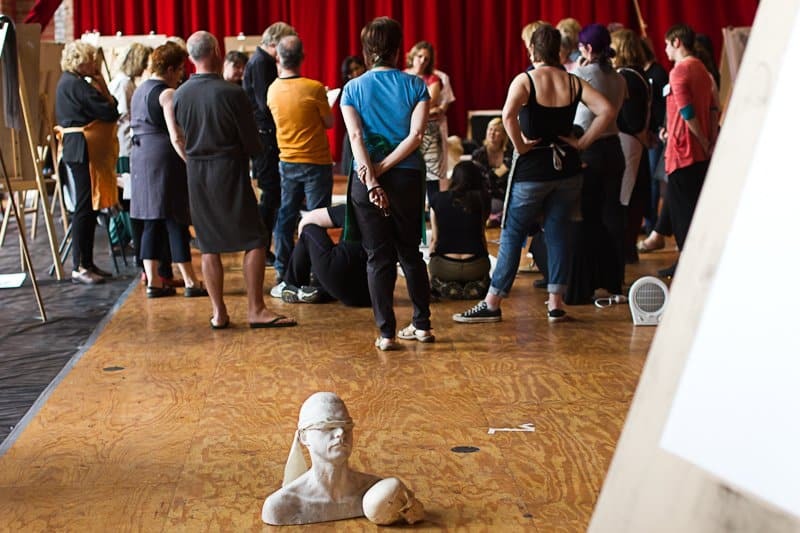 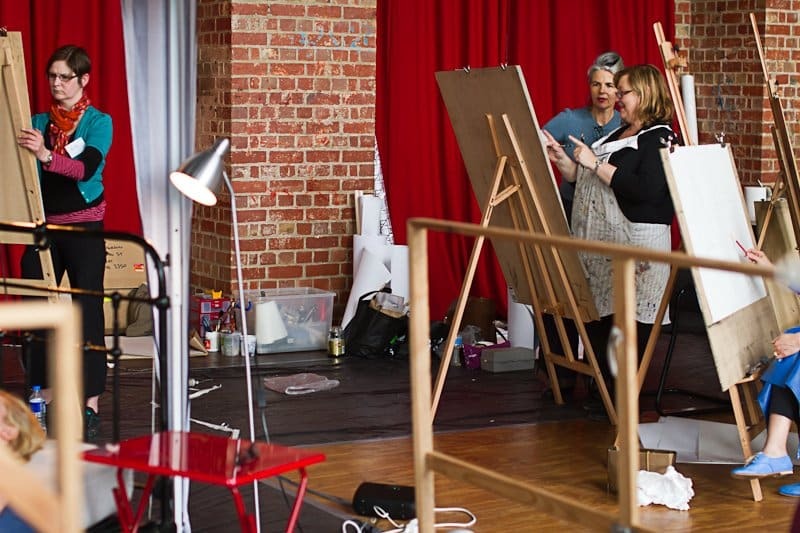 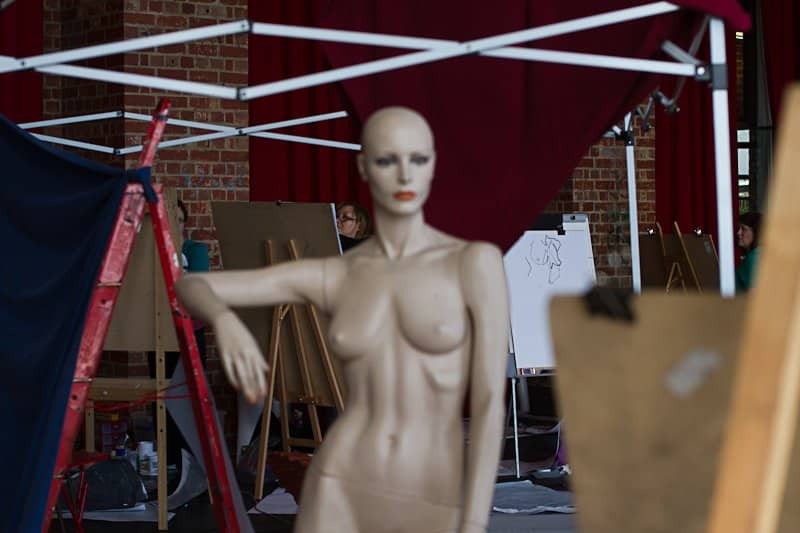 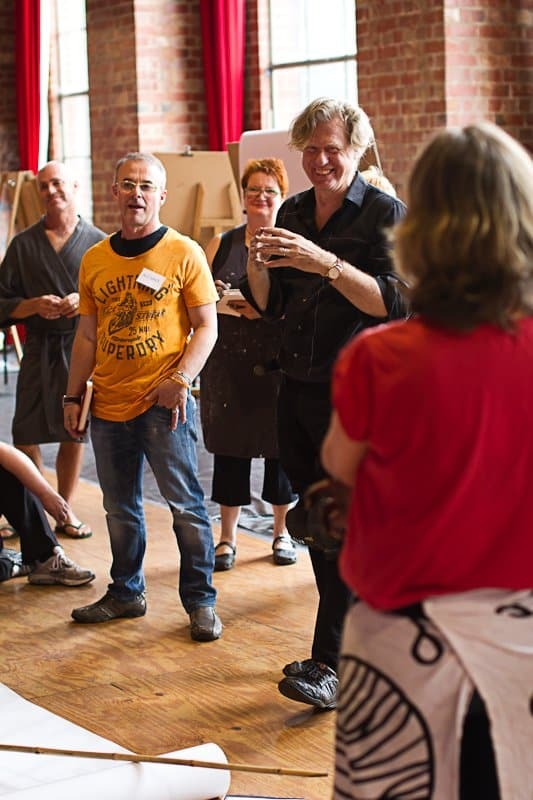 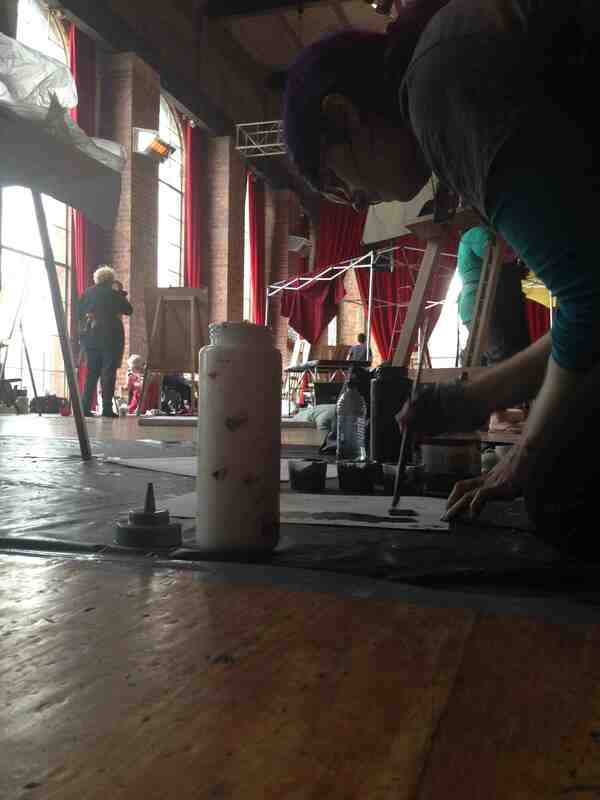 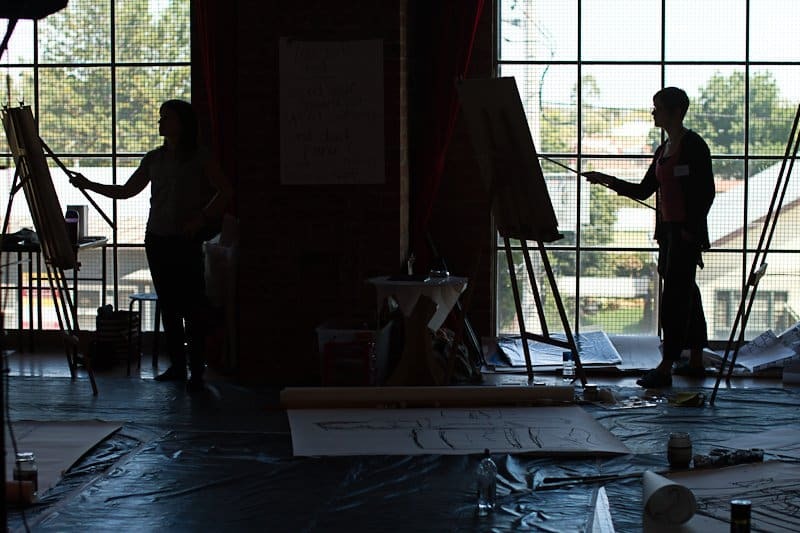 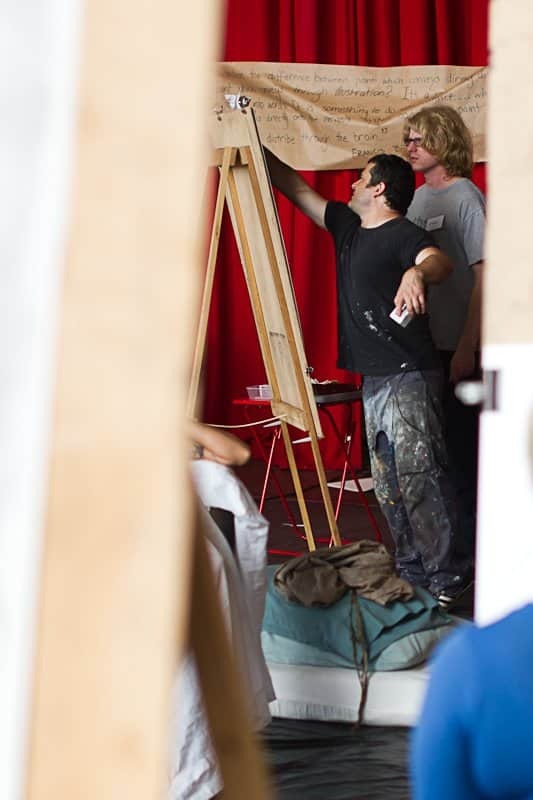 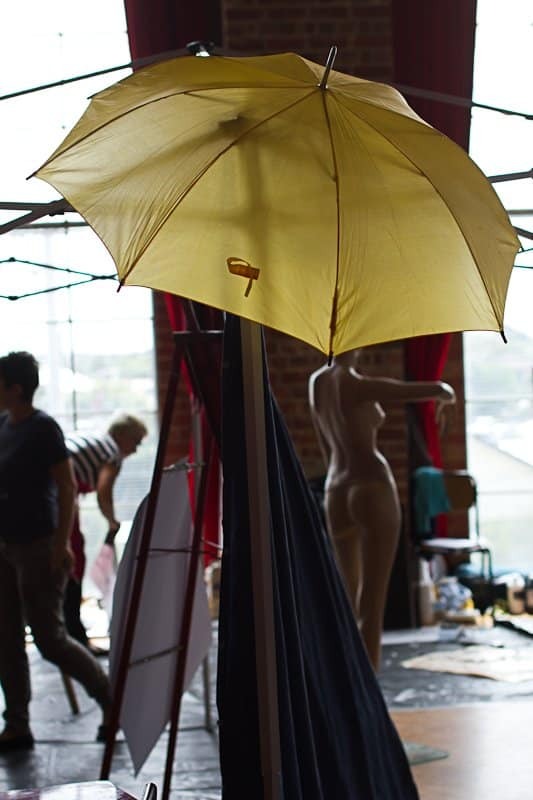 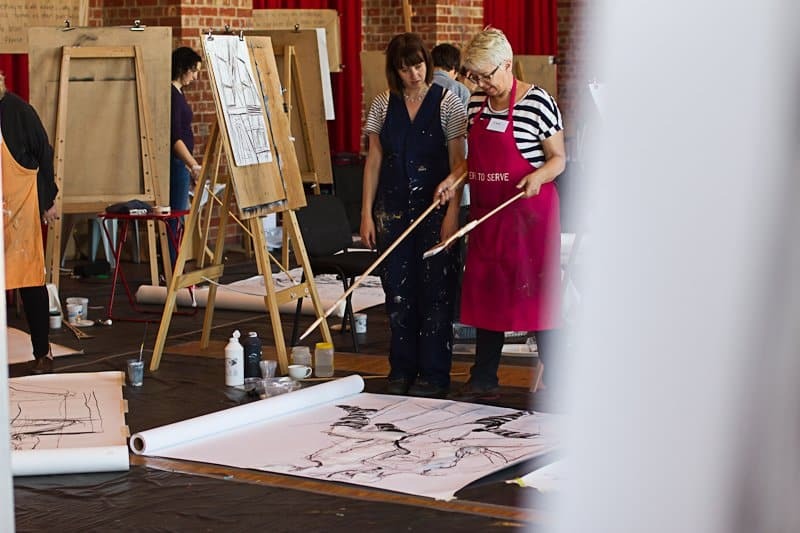 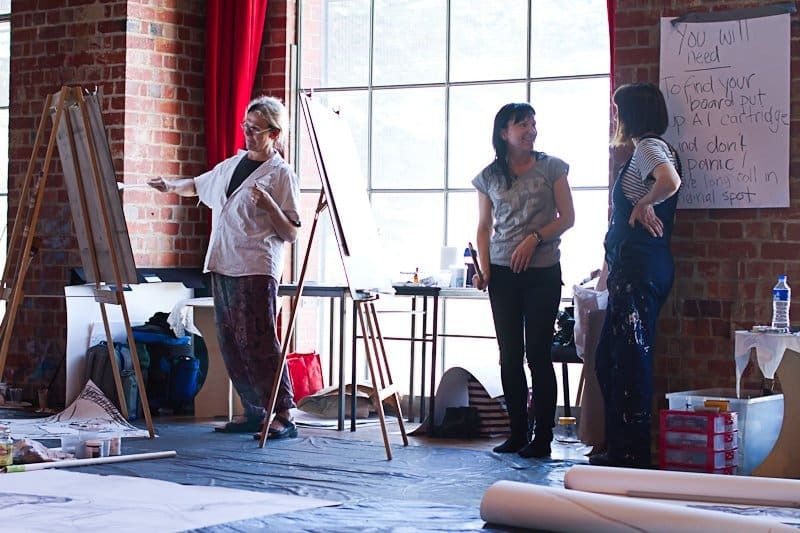 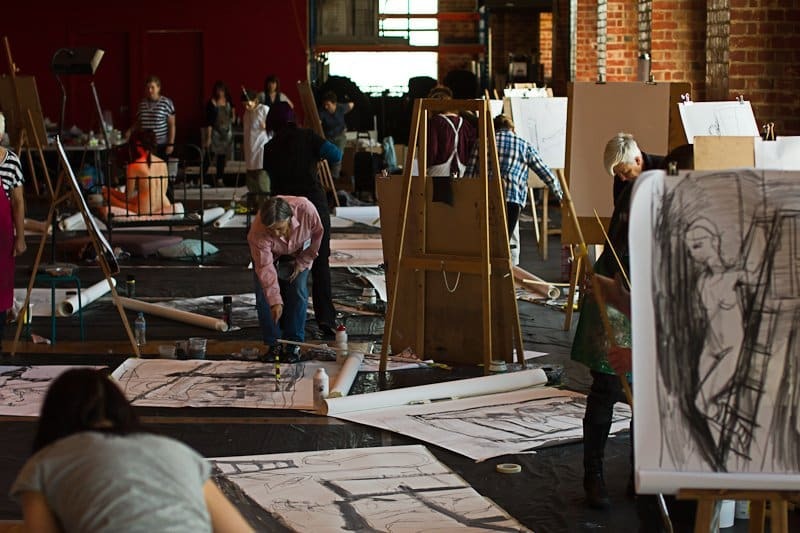 Held in the beautiful performance space at The Substation in Newport (Melbourne), this intensive considered the relationship between drawing and performance both as observer and participant. 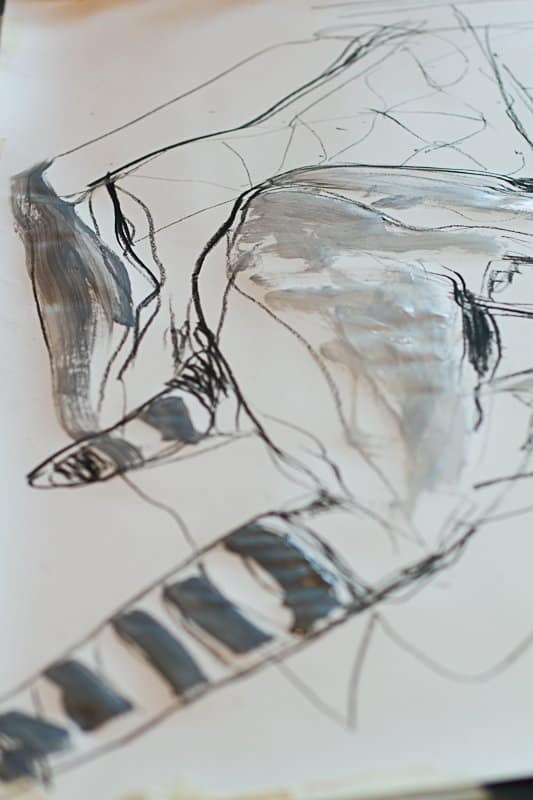 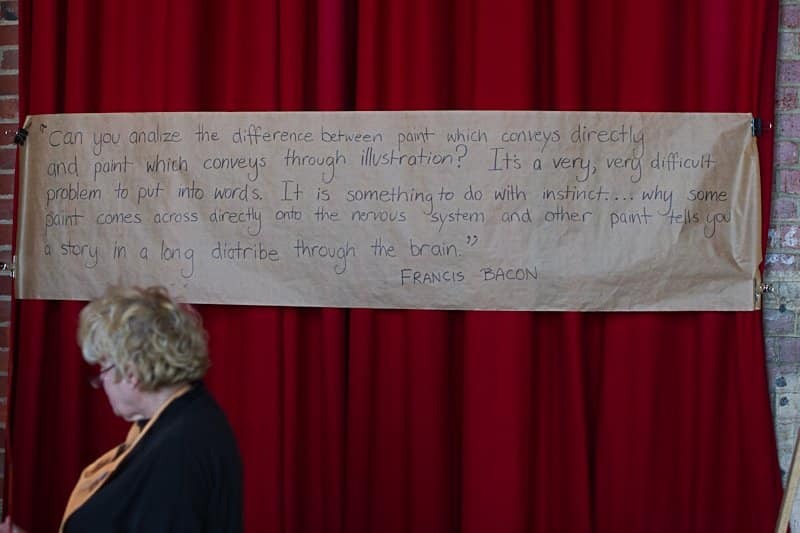 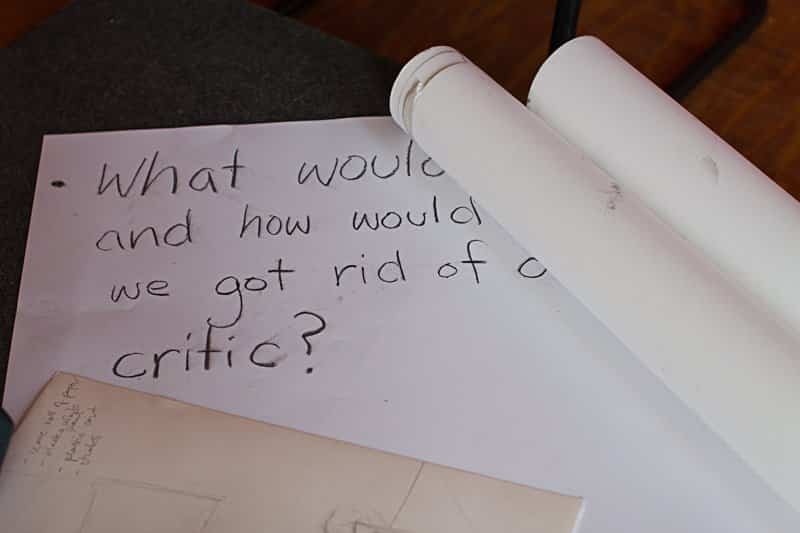 Each teacher/artist designed their own program in response to this brief which was naturally influenced by their approach to their own work, and it created a very unique and engaging drawing experience every day. 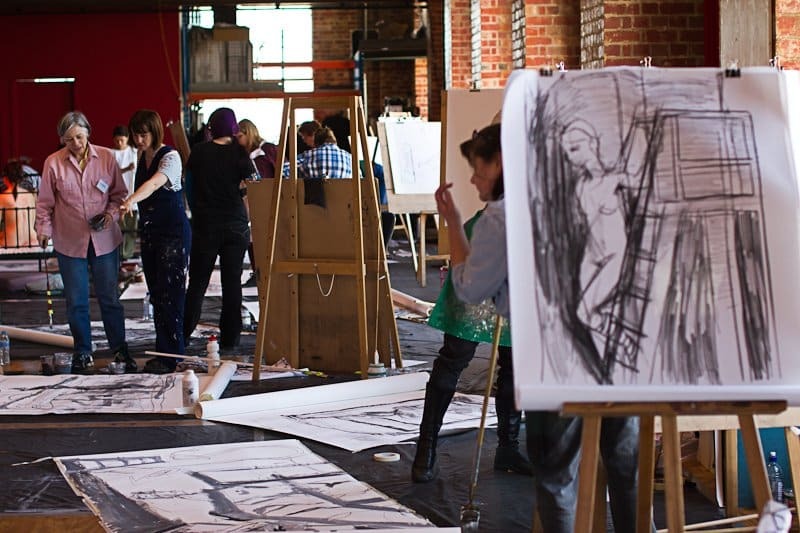 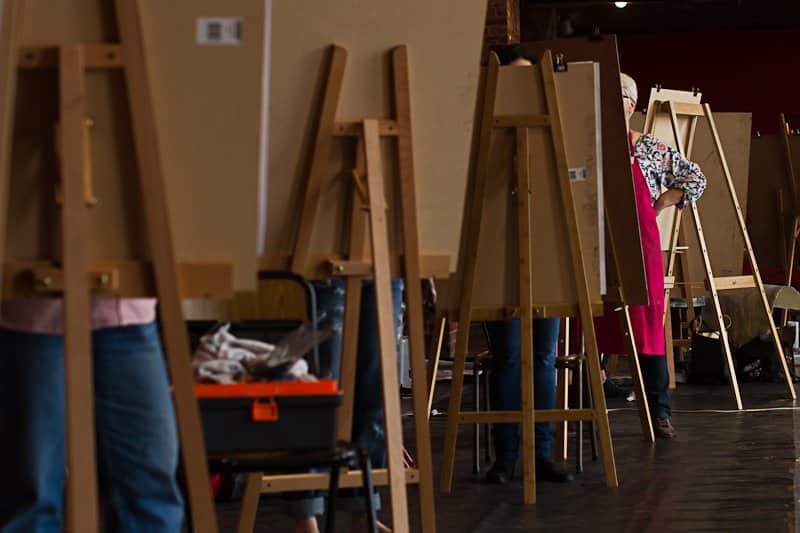 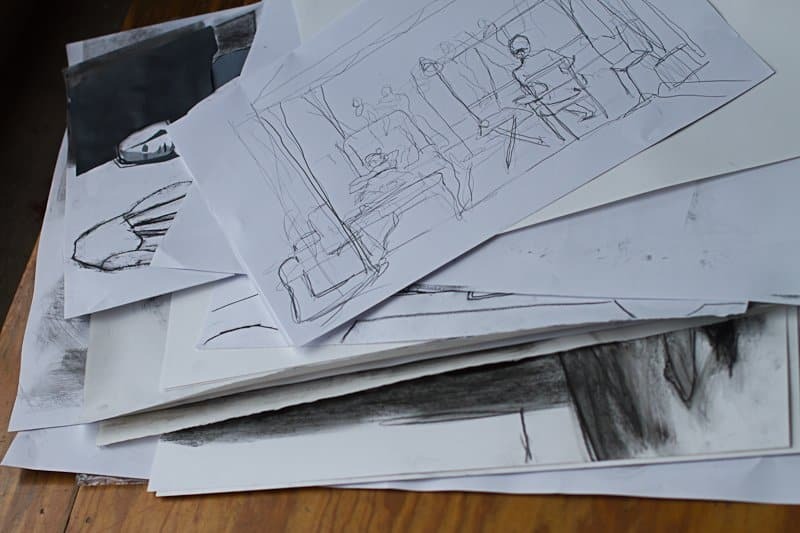 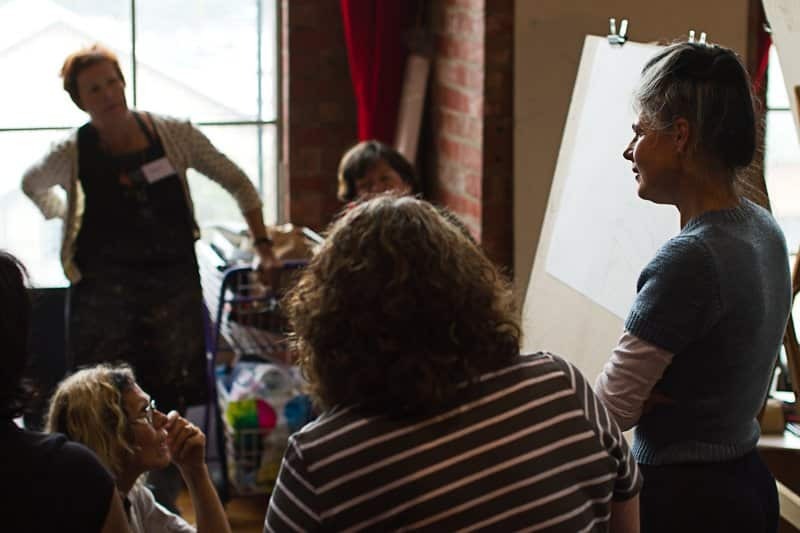 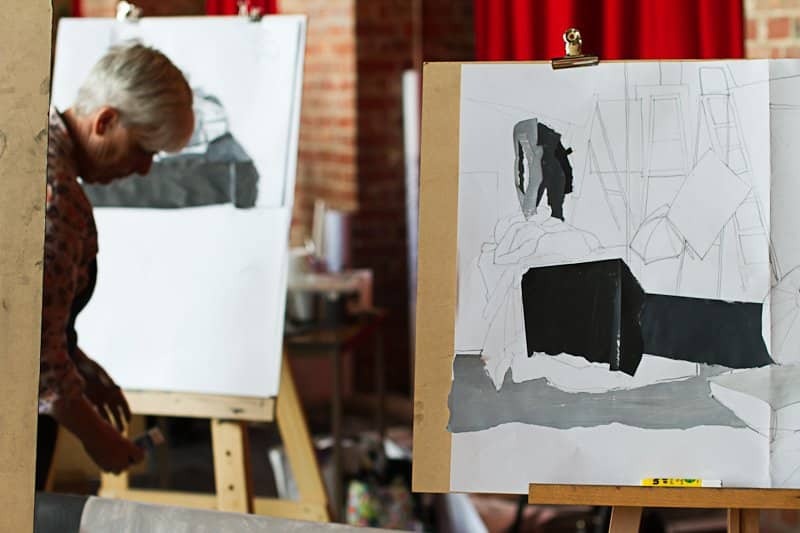 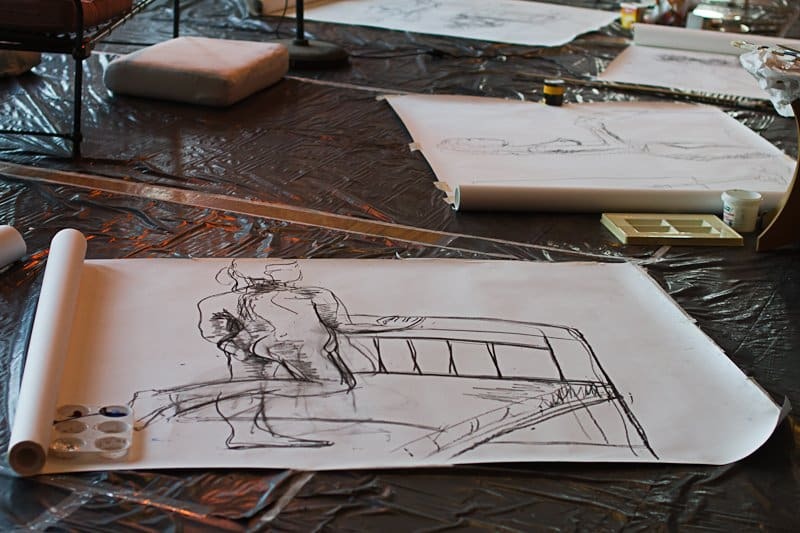 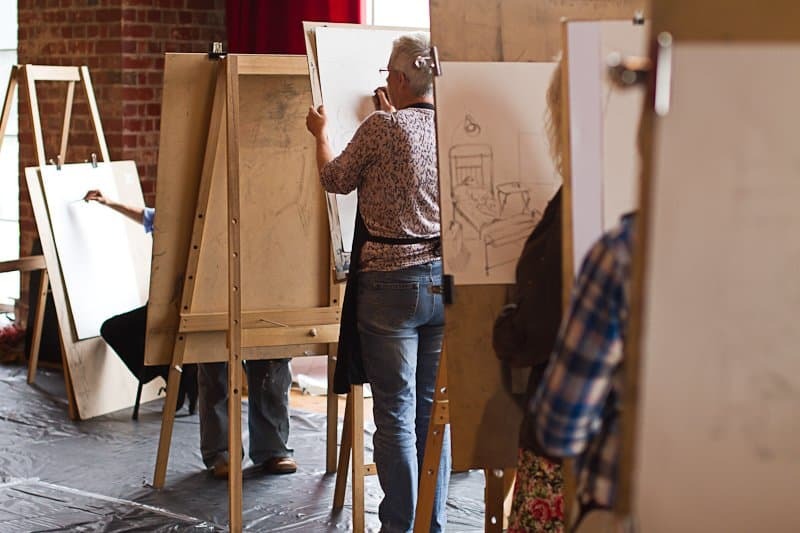 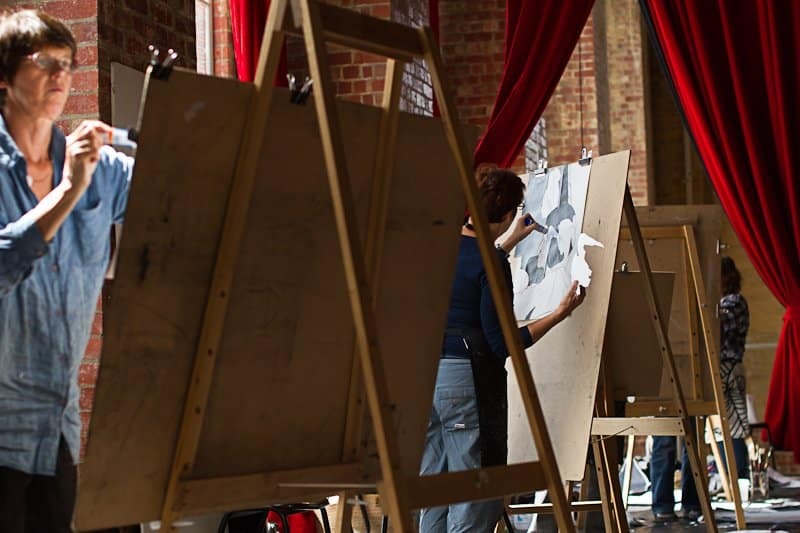 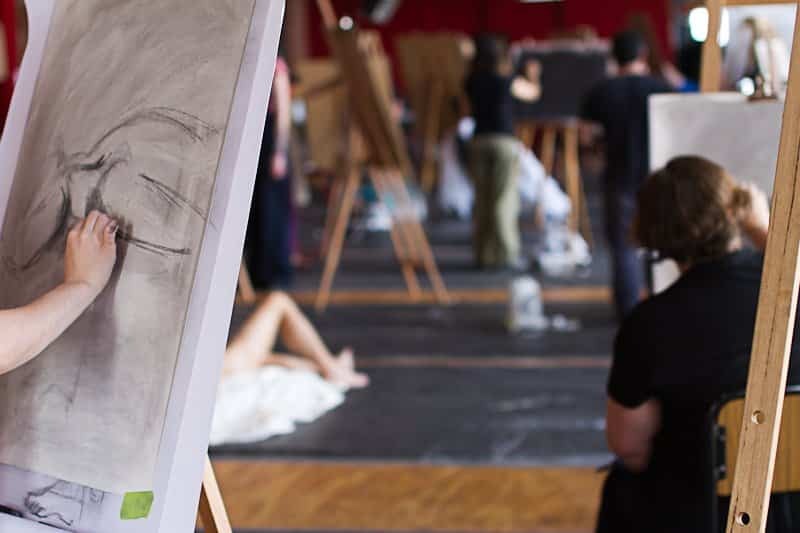 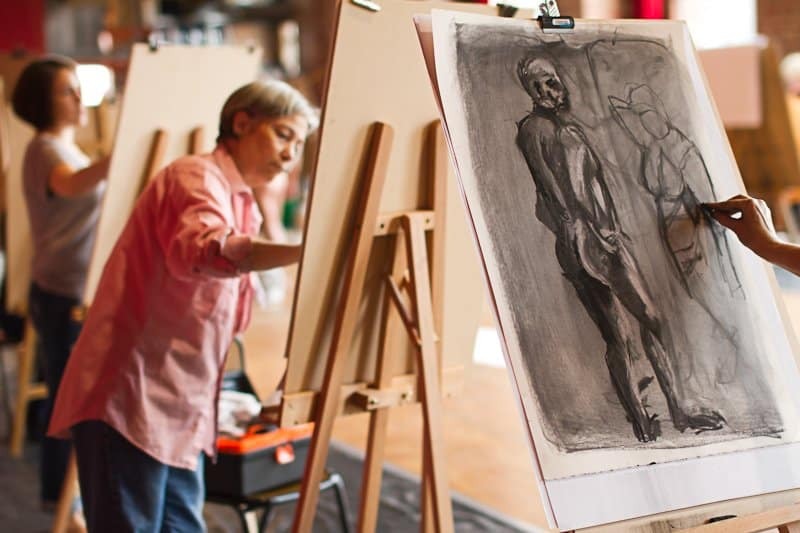 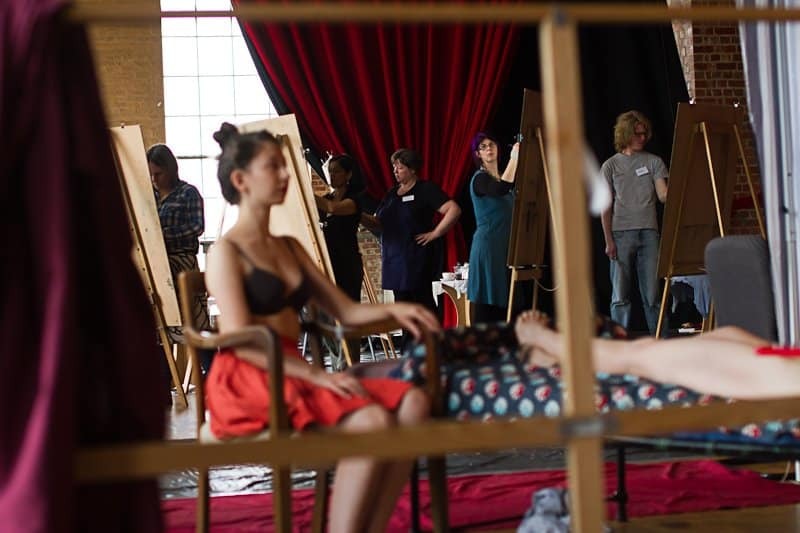 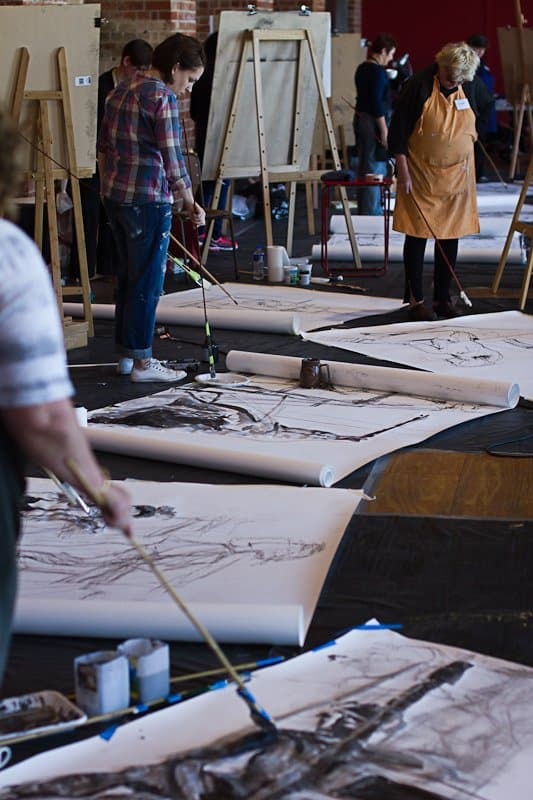 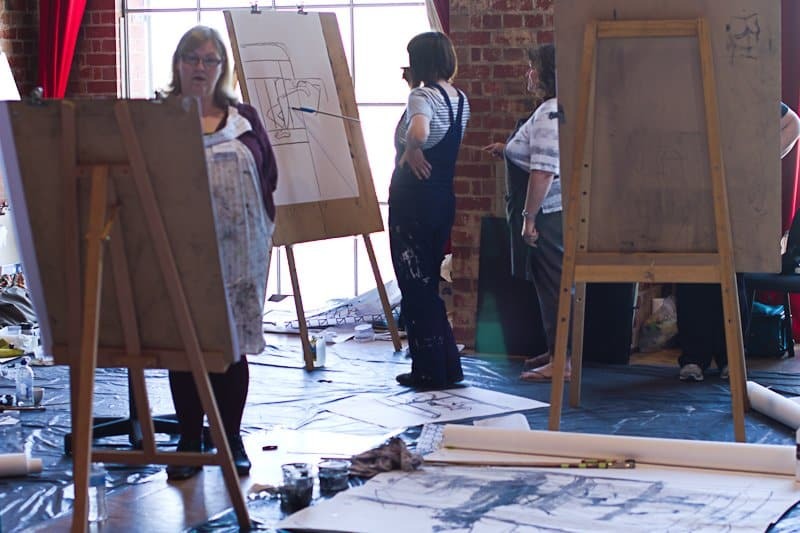 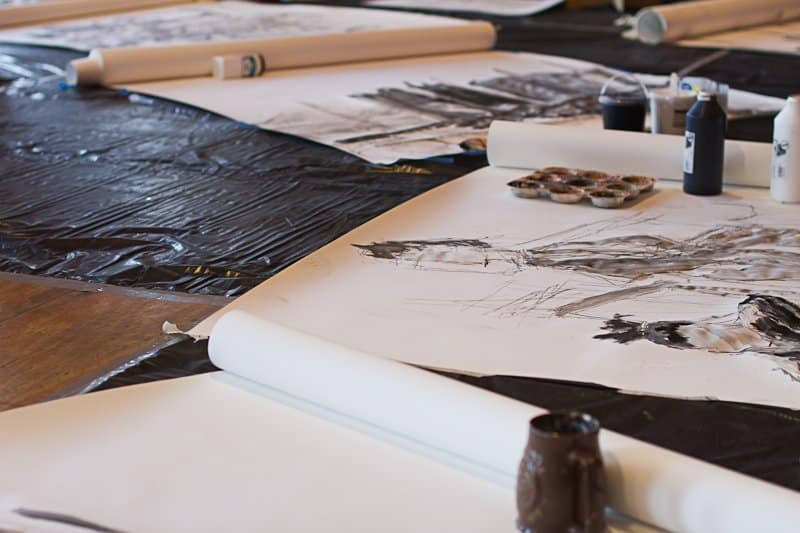 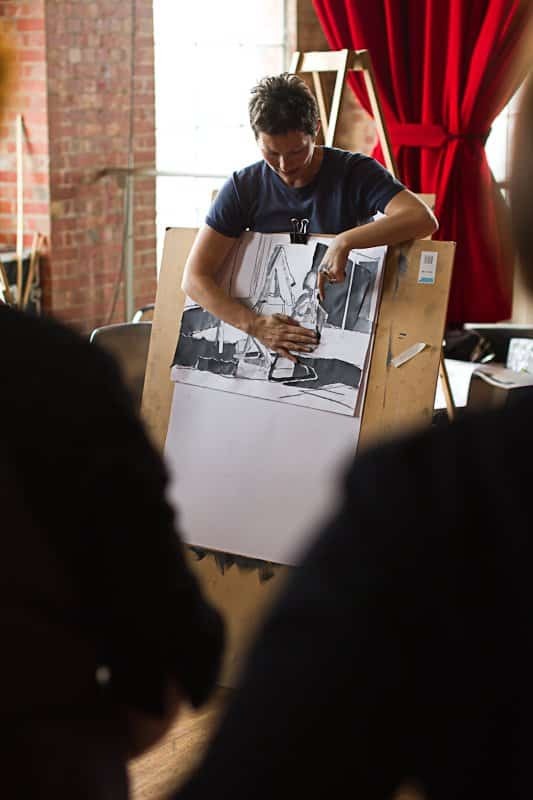 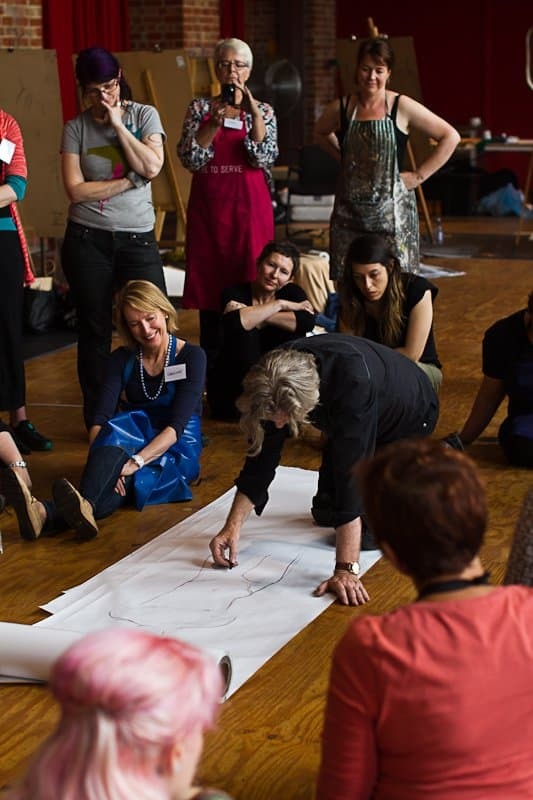 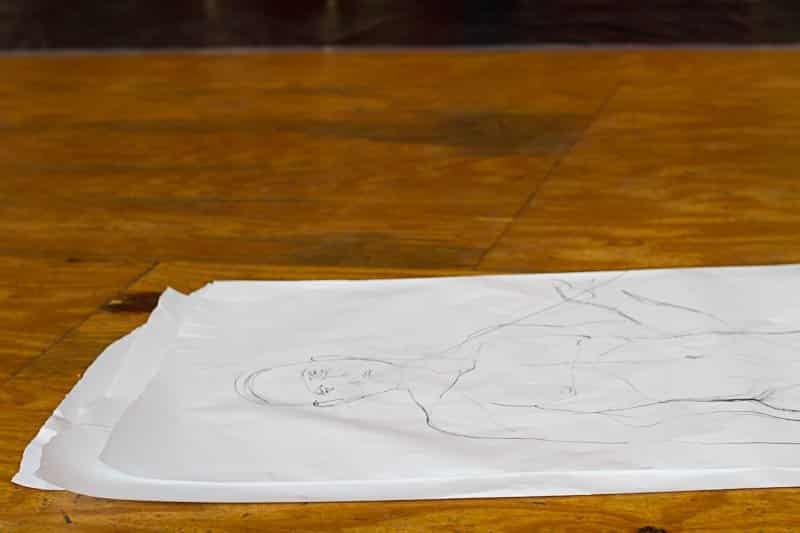 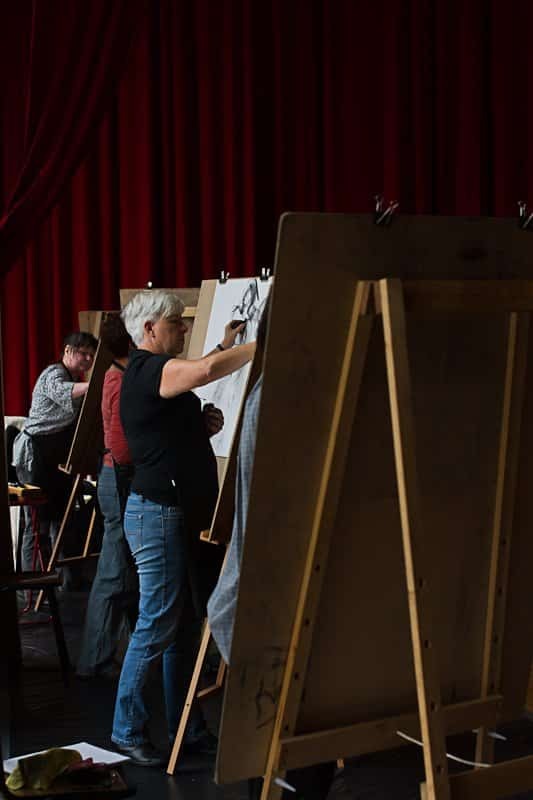 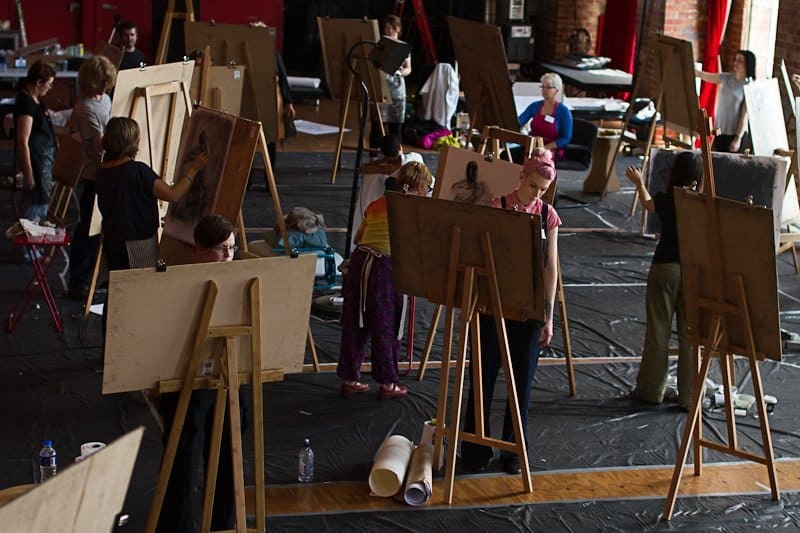 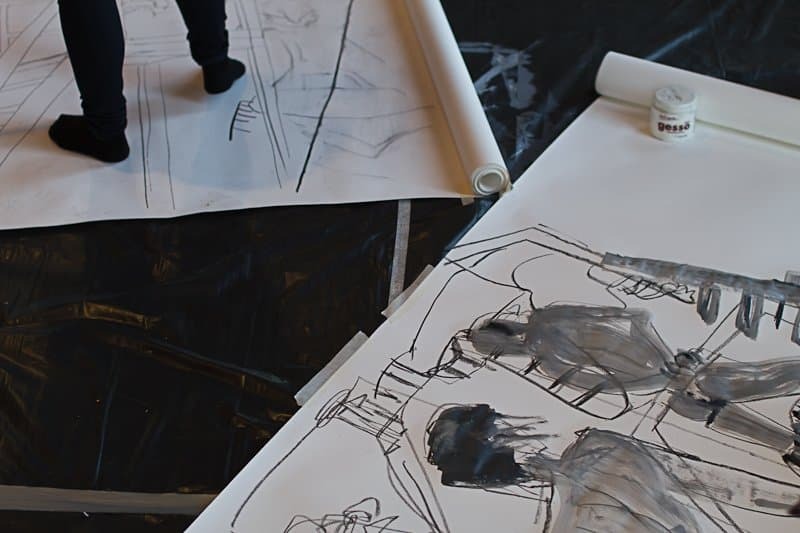 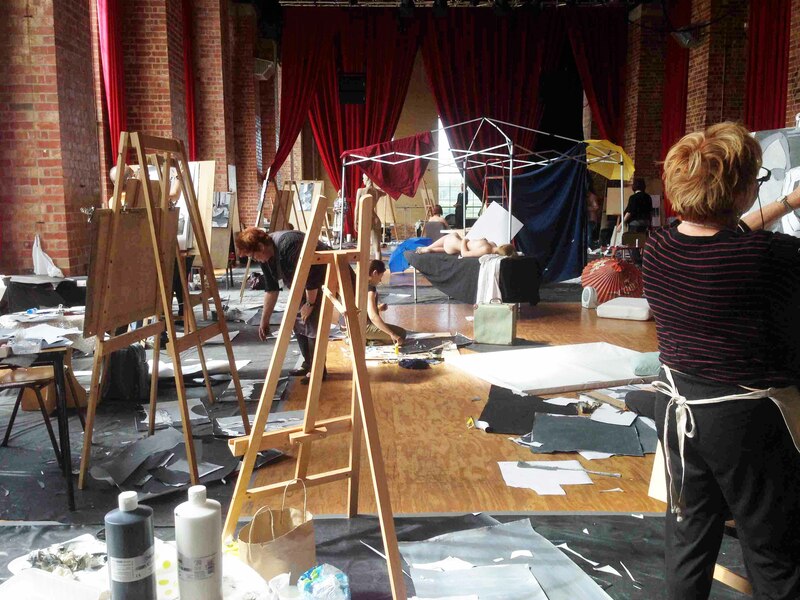 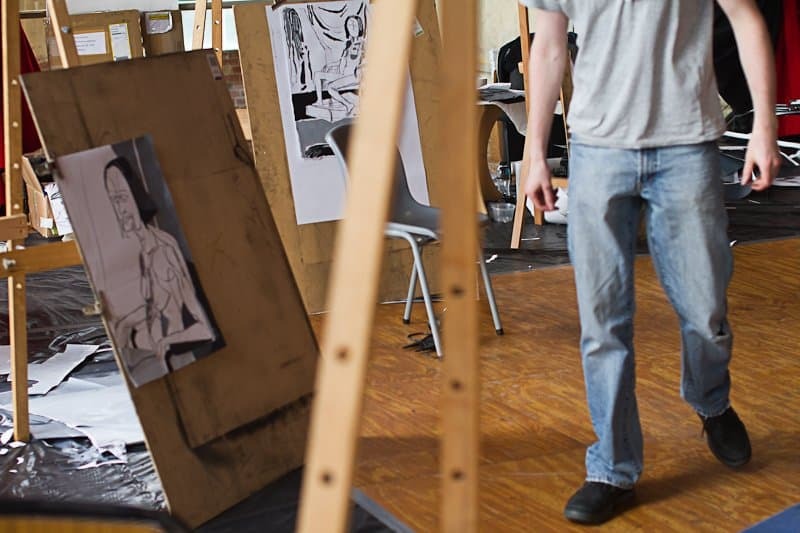 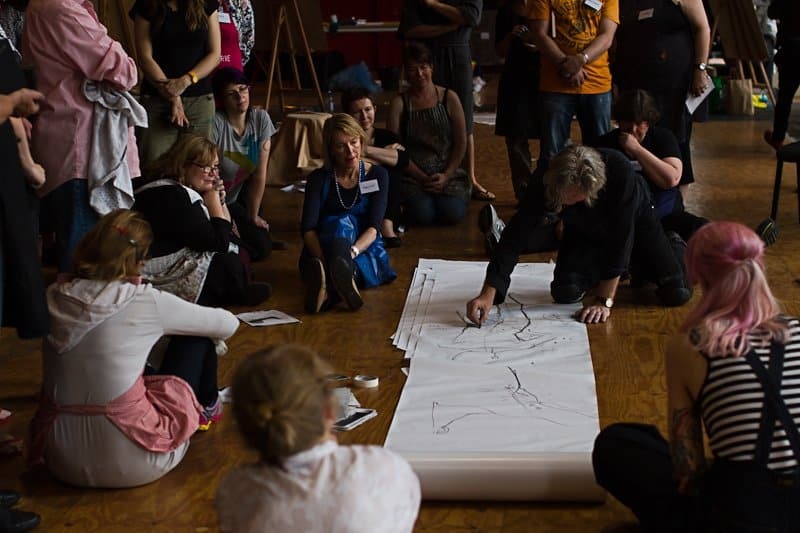 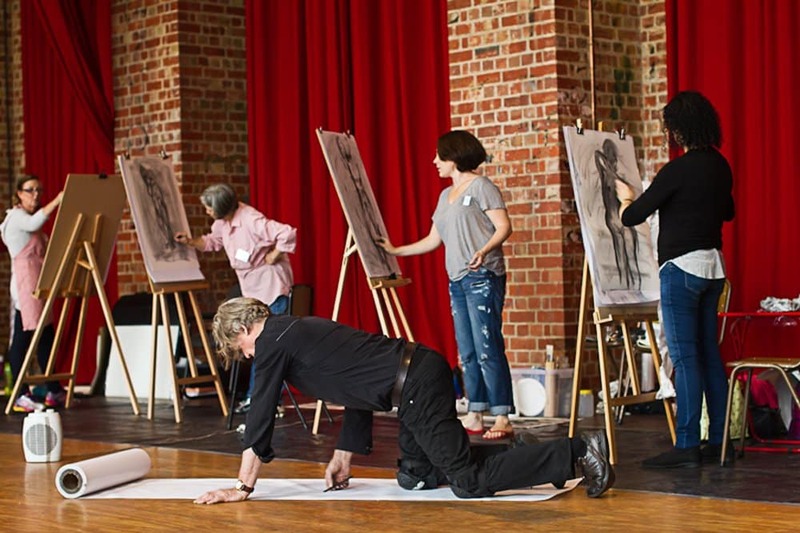 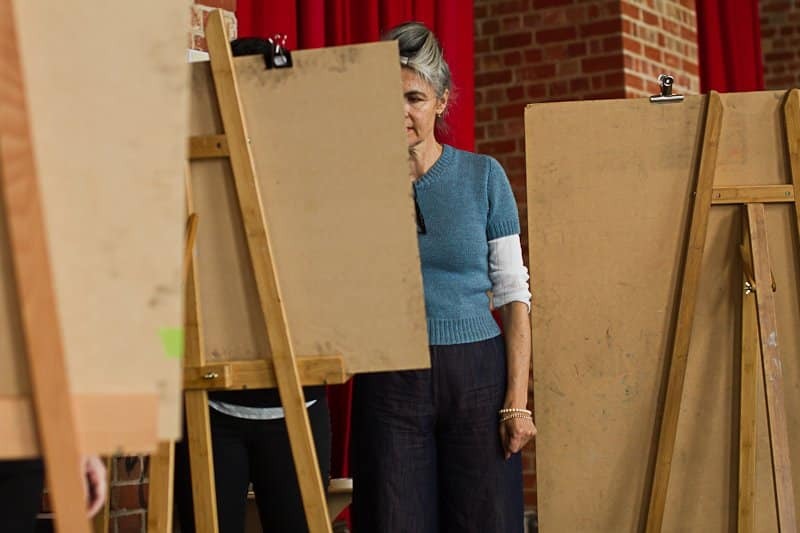 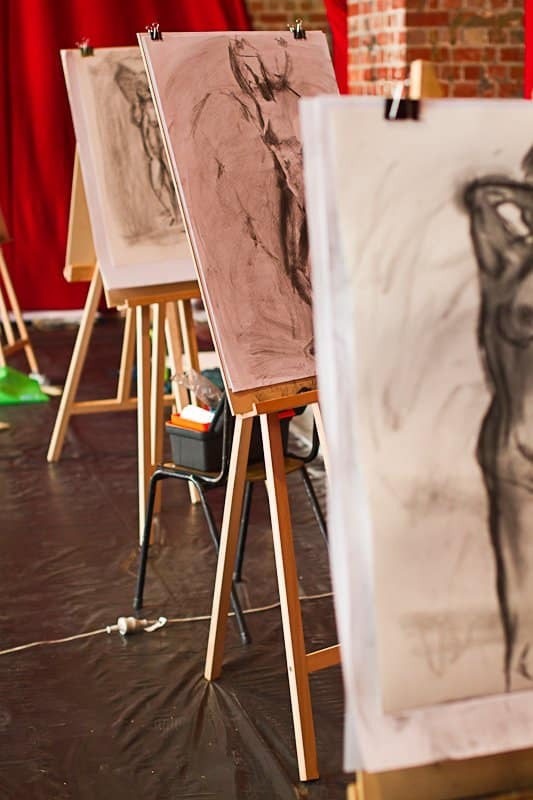 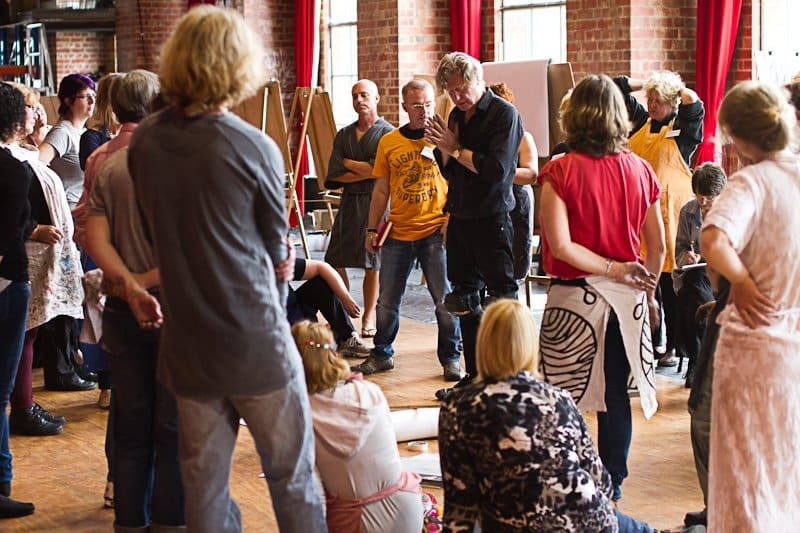 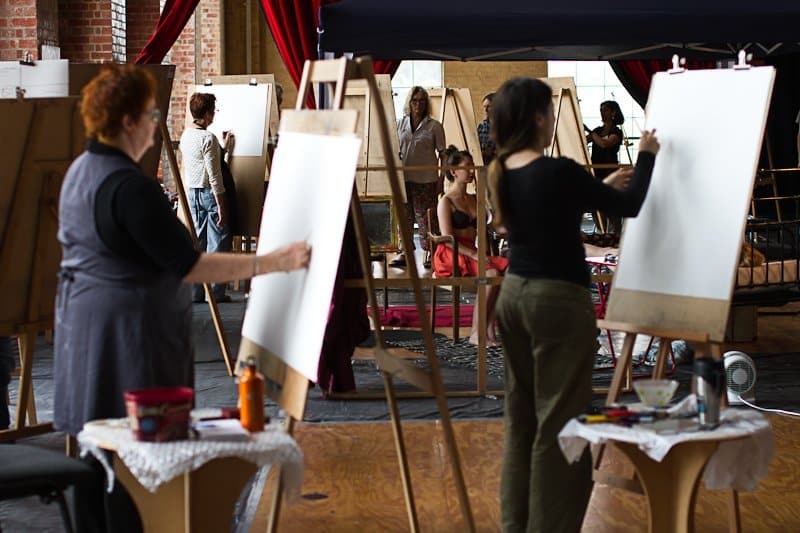 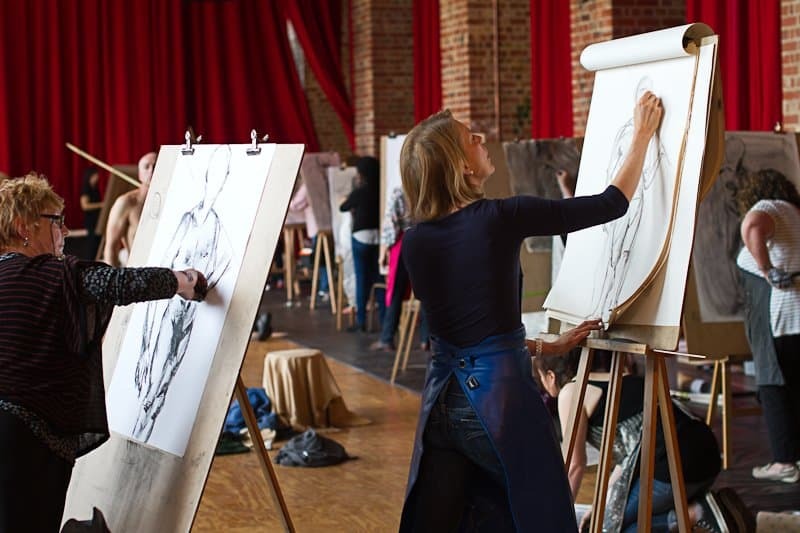 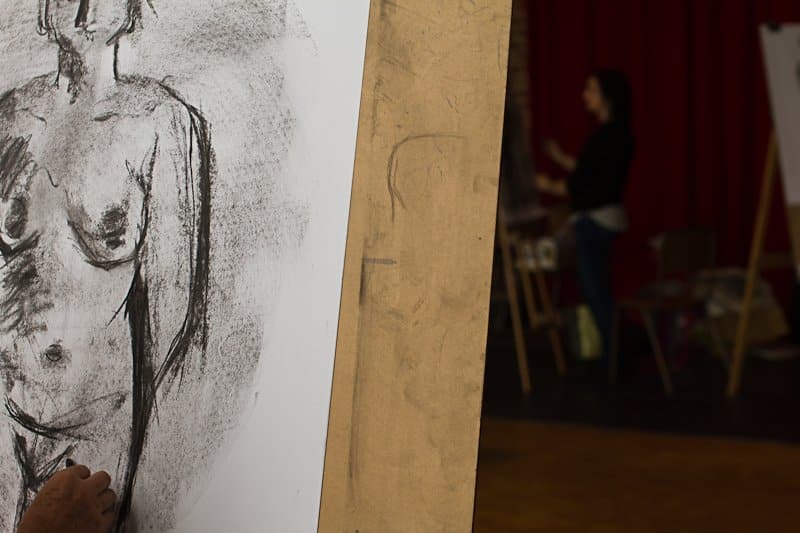 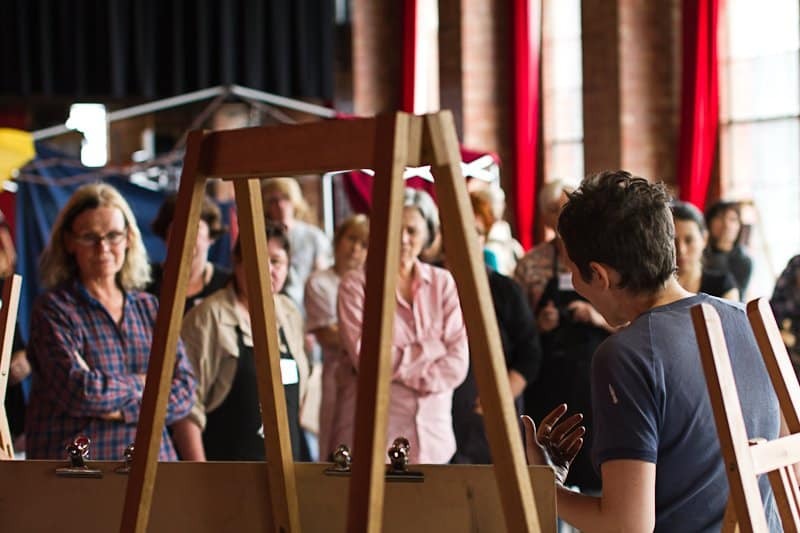 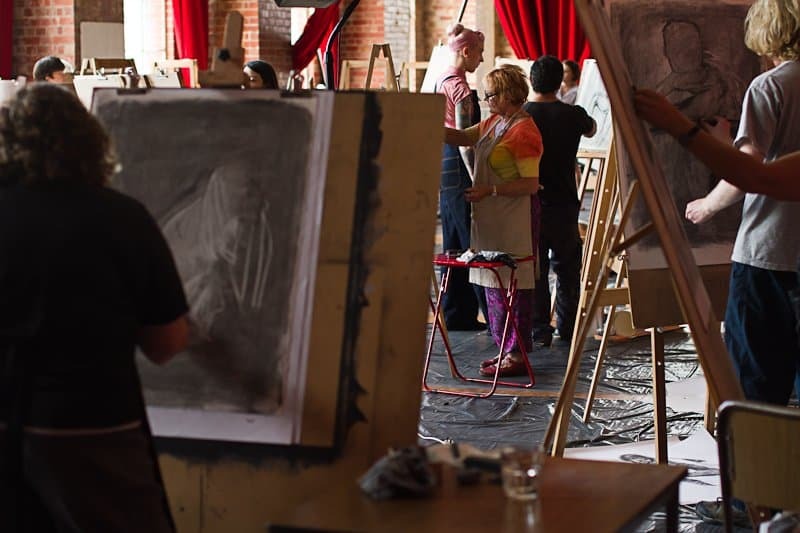 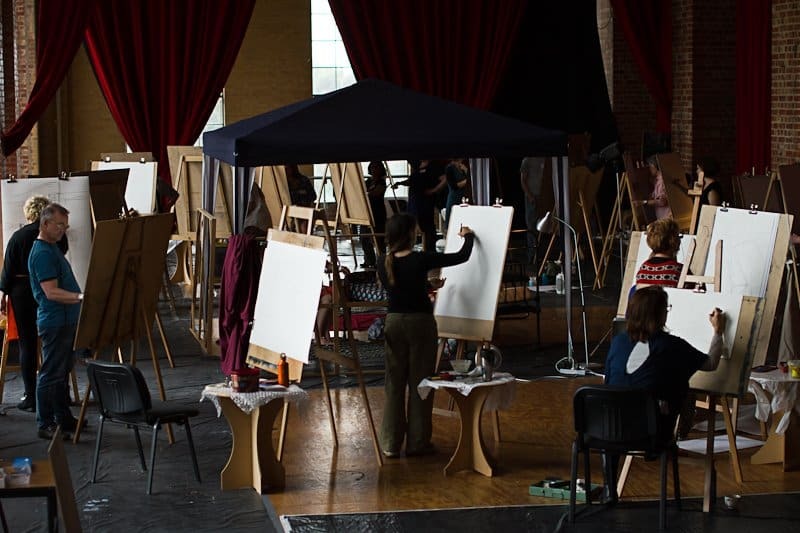 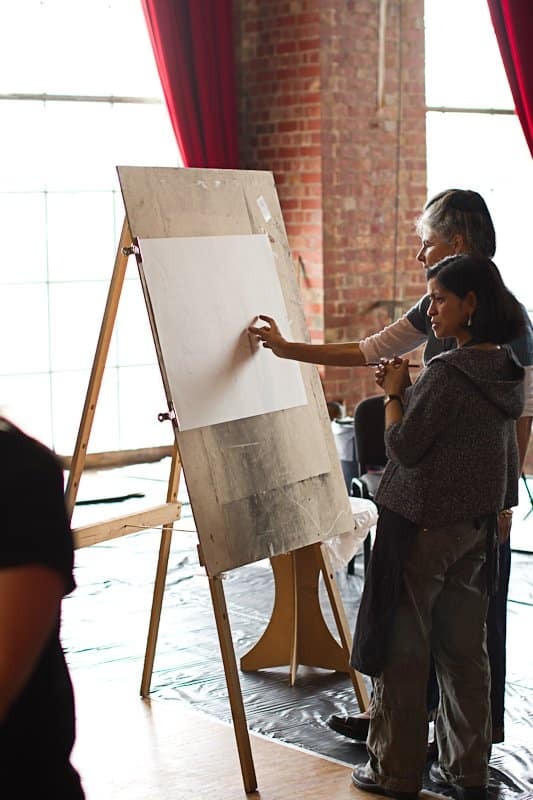 The Drawing Theatre was not a ‘learn to draw’ class as such and was designed for participants that have a level of confidence in their own practice. 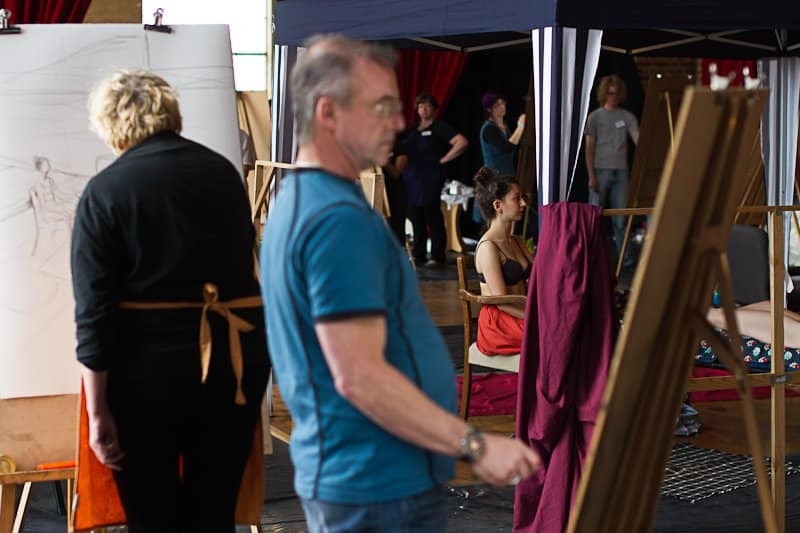 The tutors are all technically accomplished therefore well equipped to assist where needed, however their focus was giving the participants the opportunity to really challenge themselves and to be open to the possibility of working in a very different way. 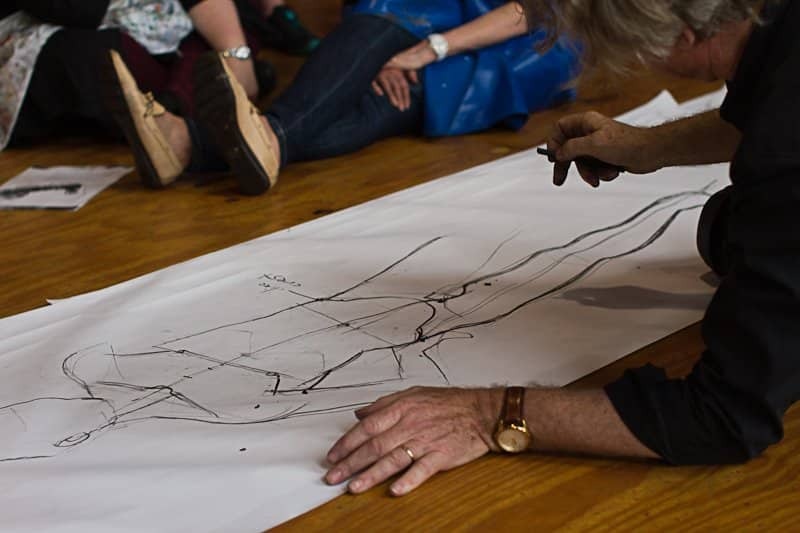 It was not about coming away with a perfect finished drawing to hang on the wall, but a new set of experiences and processes to inform their own work in the future. 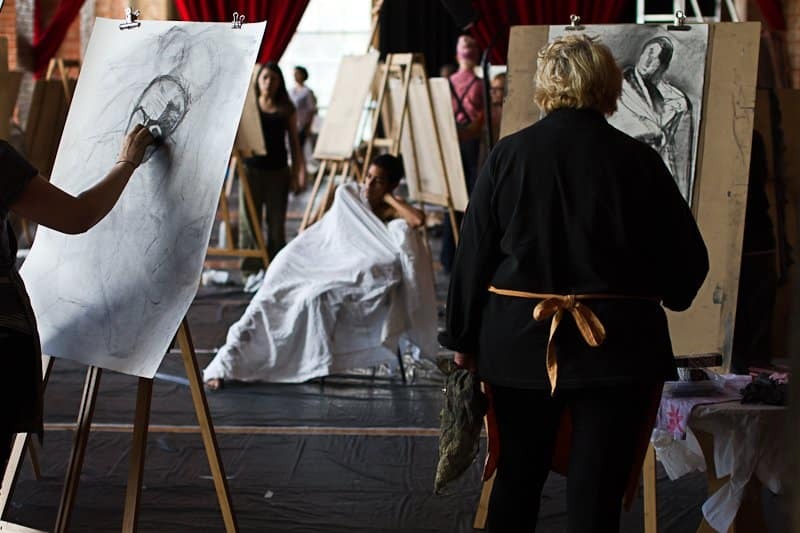 “One must from time to time attempt things that are beyond one’s capacity. 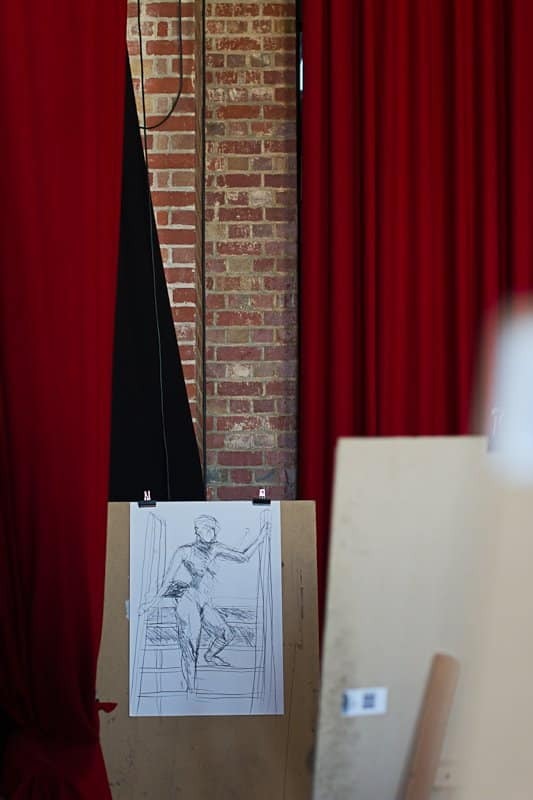 The Drawing Theatre was a labor of love for the Director of The Art Room, Erika Gofton, a professional practicing artist. 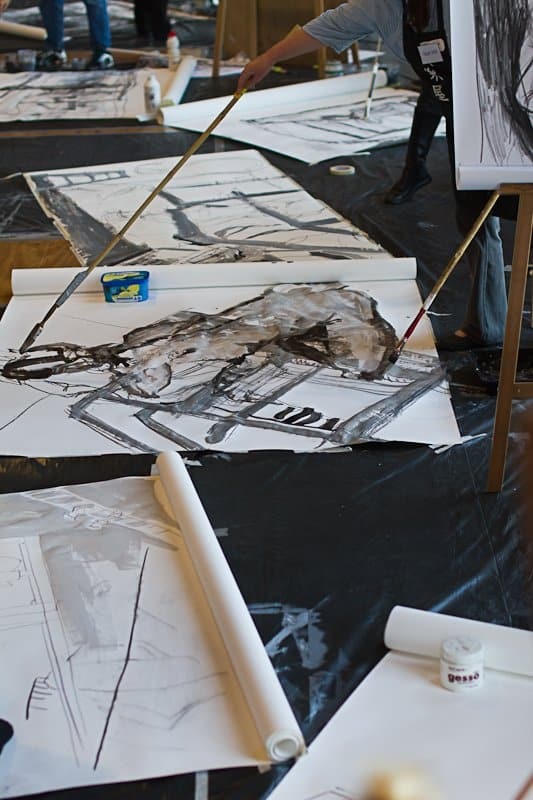 Erika has been in search of opportunities that encourage her to step away from the isolation and predictability of the studio, step into the unknown, and be challenged to try new approaches in her own work. 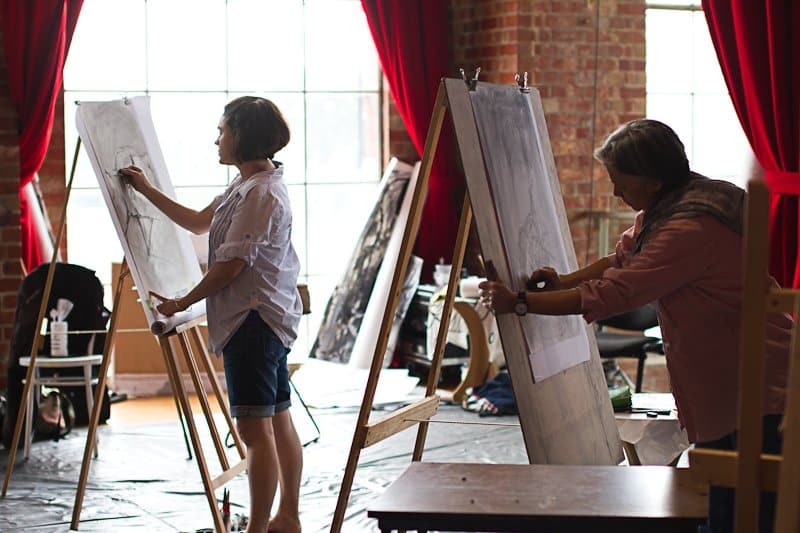 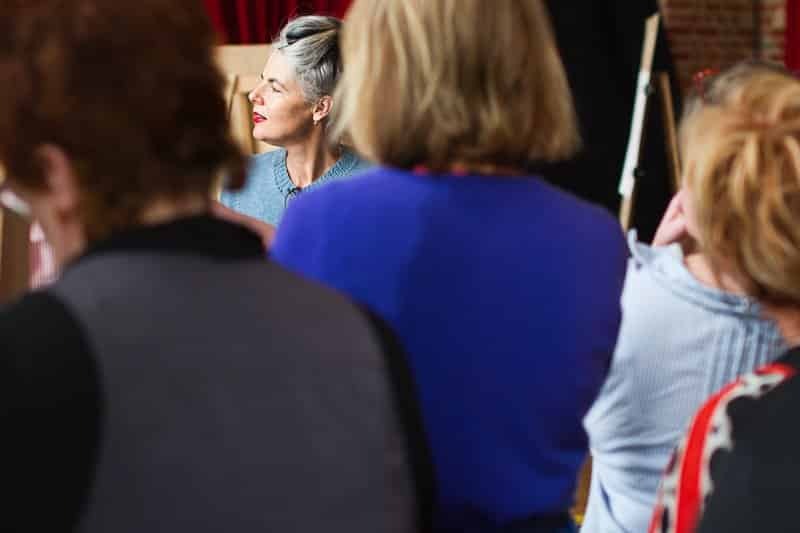 She discovered that unless you are part of a major institution there are very few opportunities to learn from highly experienced tutors that are current contemporary practitioners. 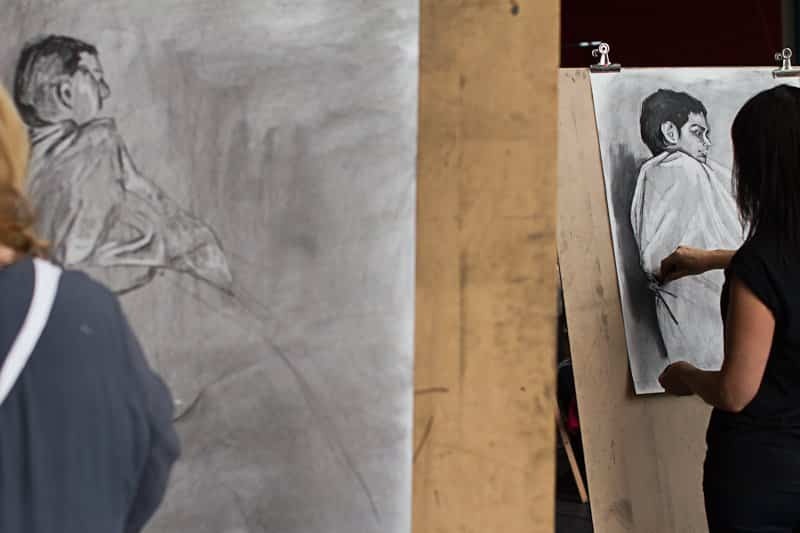 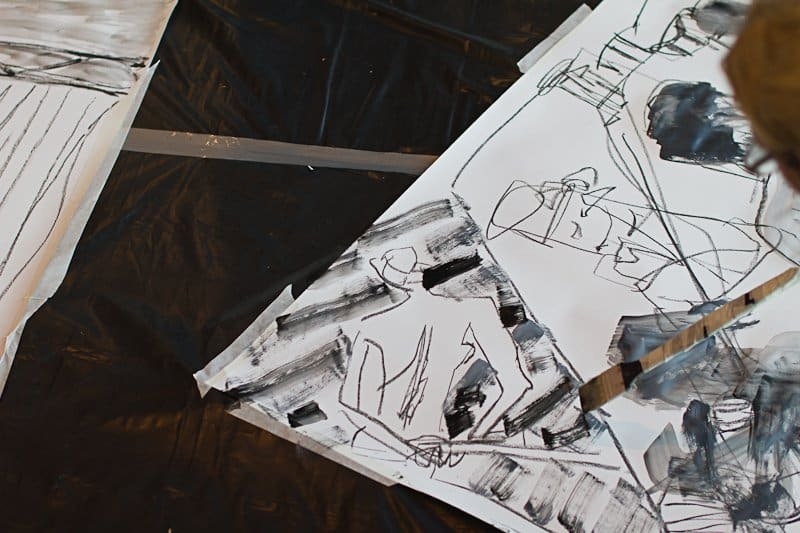 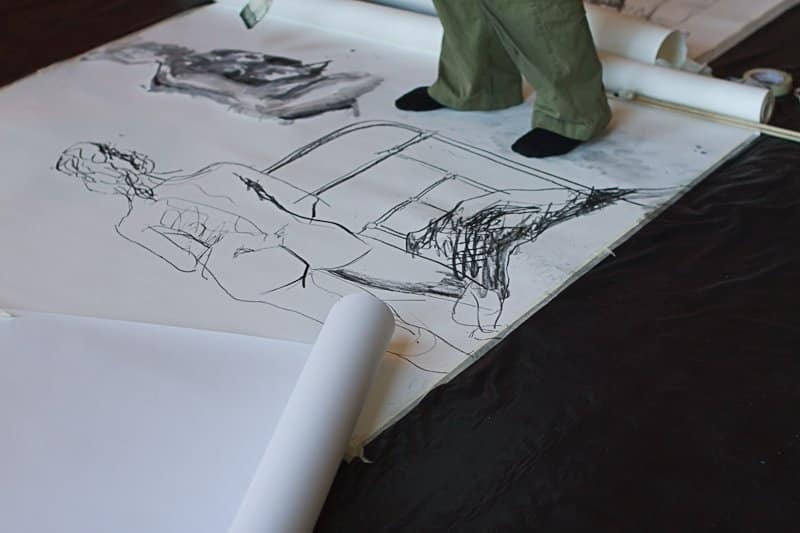 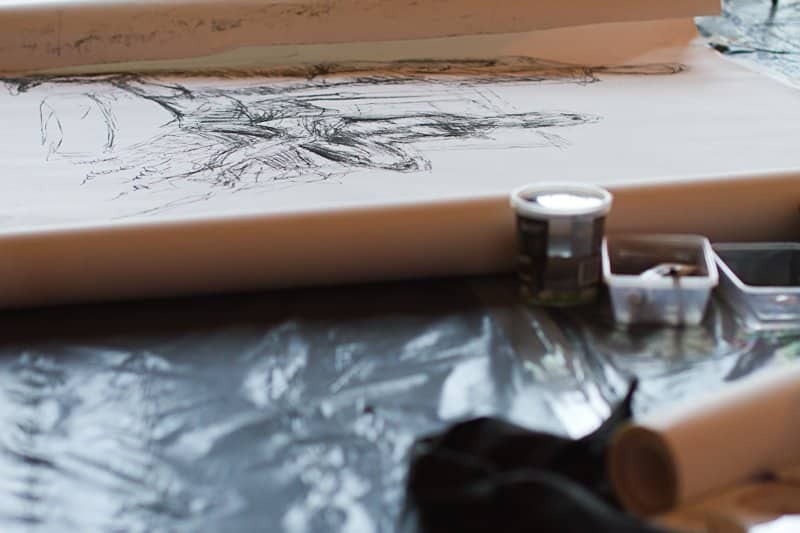 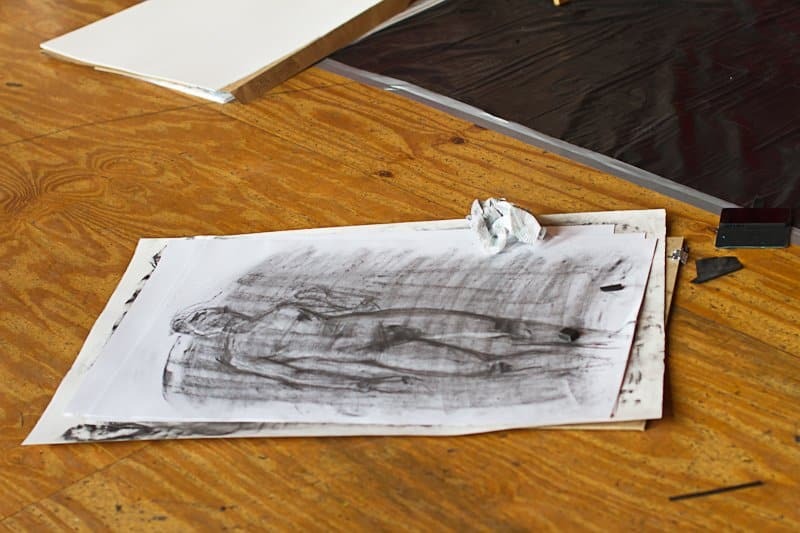 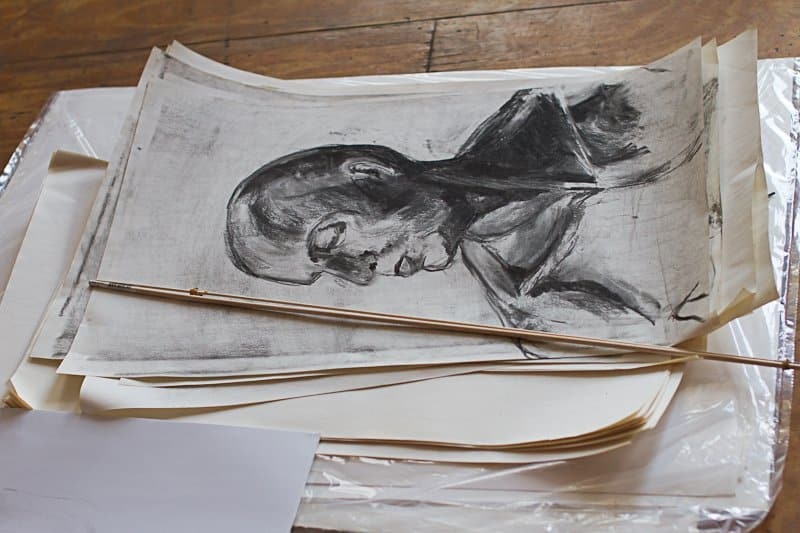 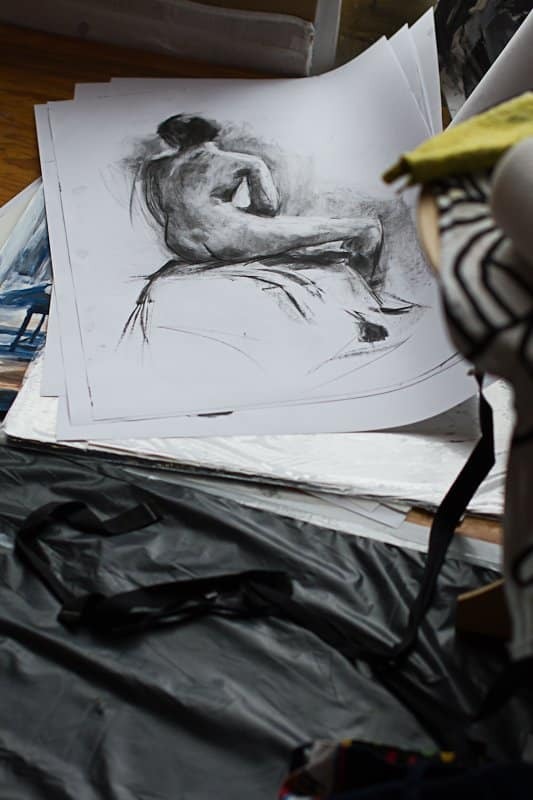 In 2013 Erika undertook the Drawing Marathon at The New York Studio School whilst on a residency in Brooklyn, New York, where she met with drawing educators from London Drawing and The Campaign for Drawing in London to research and experience different programs. 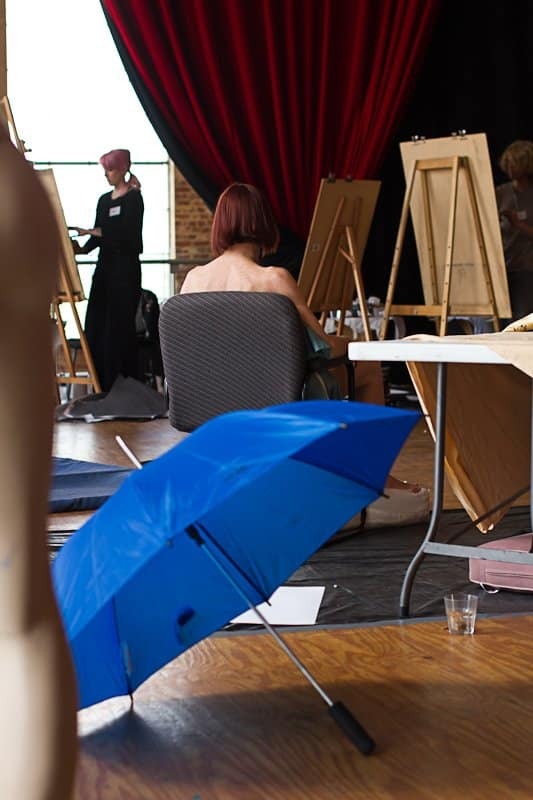 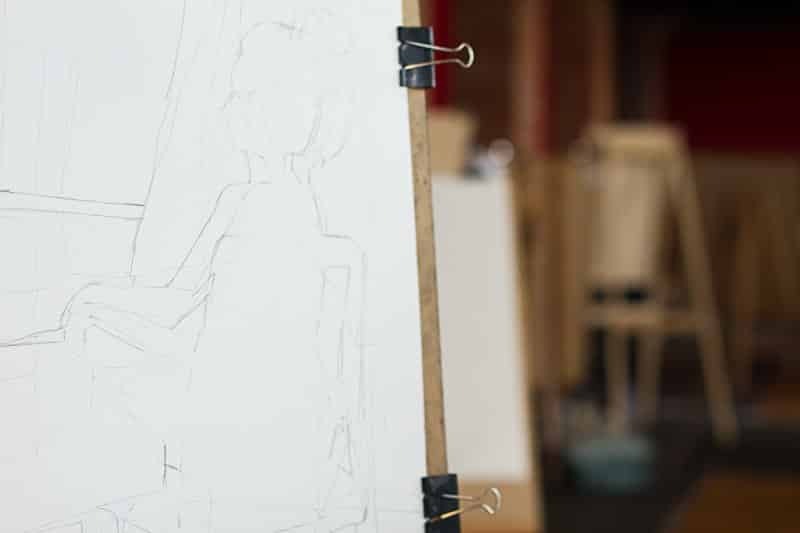 Through The Art Room she is committed to providing comprehensive, quality adult art classes that are accessible to complete beginners right through to practicing artists wishing to challenge their practice. 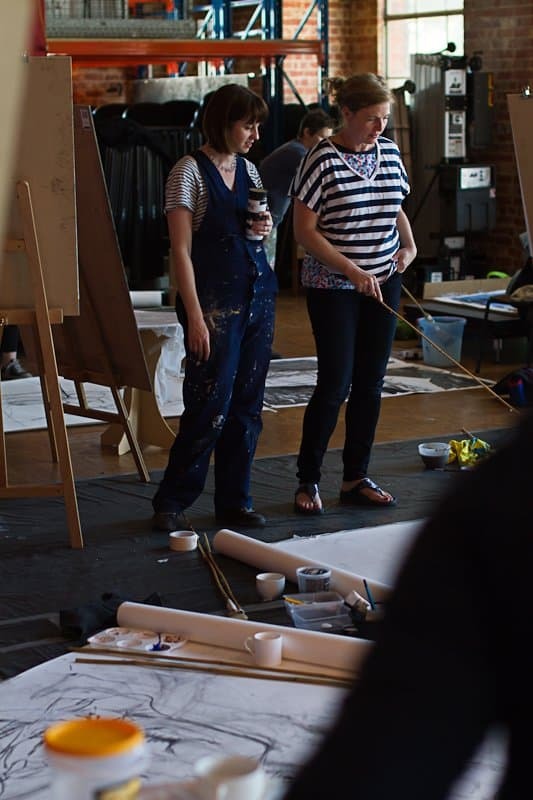 Erika sees The Art Room as both an alternative and support to traditional art education, and is passionate about providing students with the opportunity to learn from teachers that are well respected and experienced professional artists that are also generous and passionate teachers.